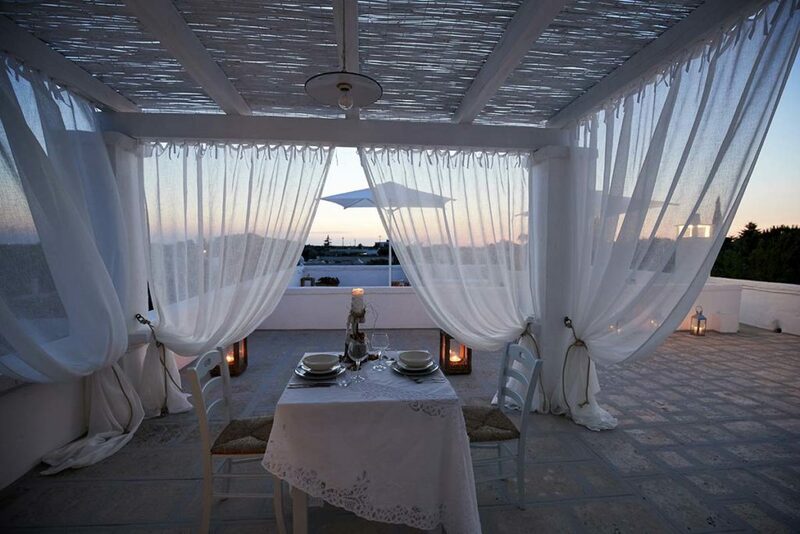 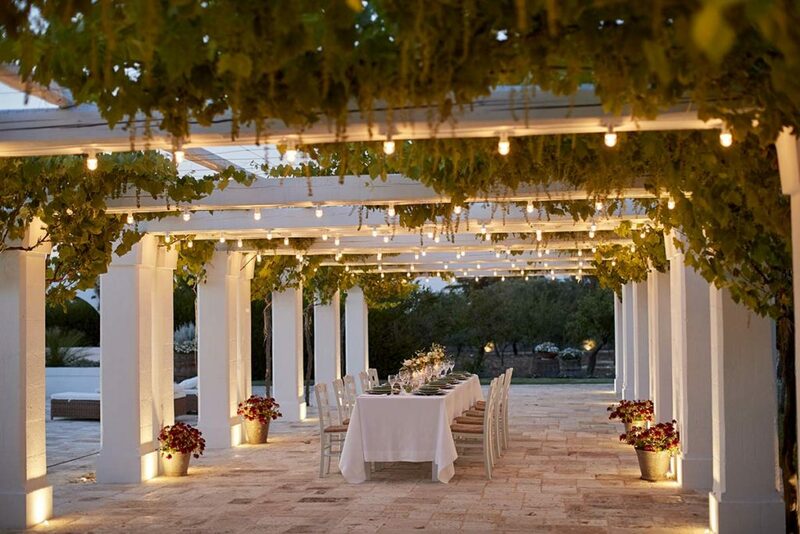 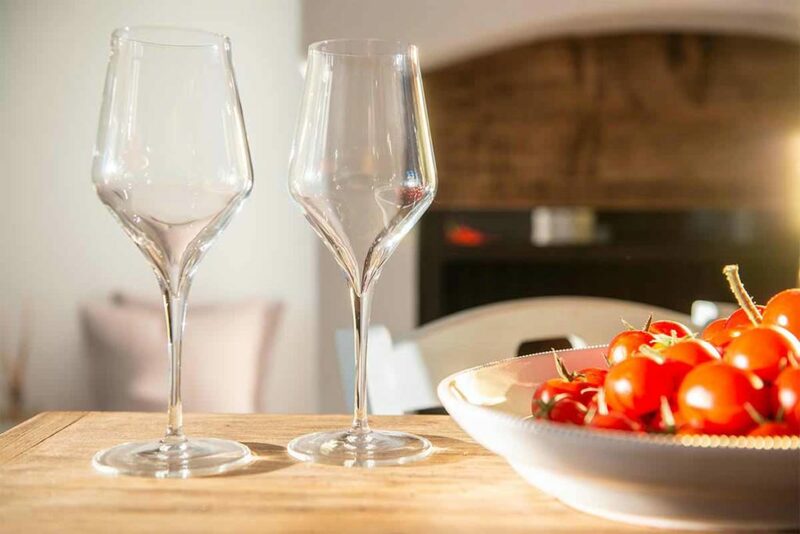 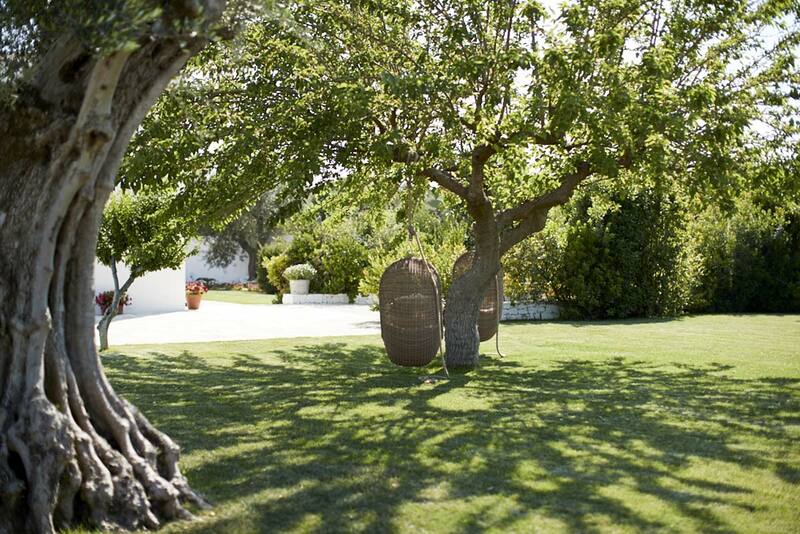 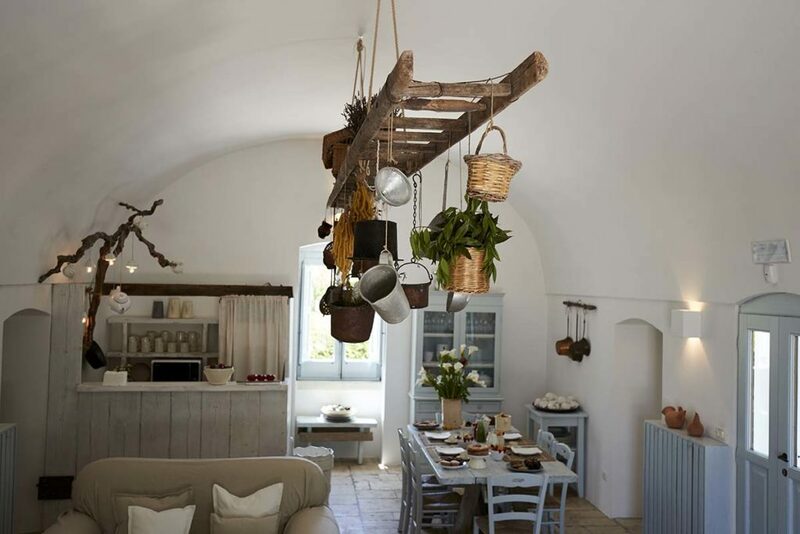 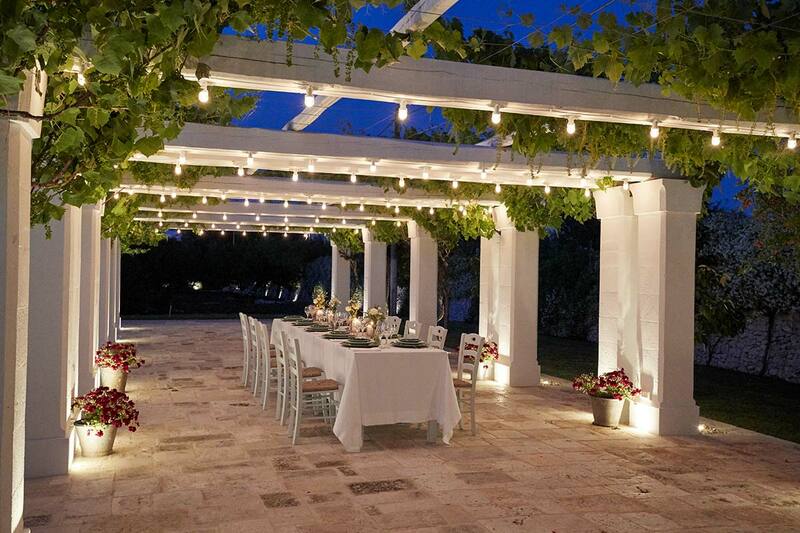 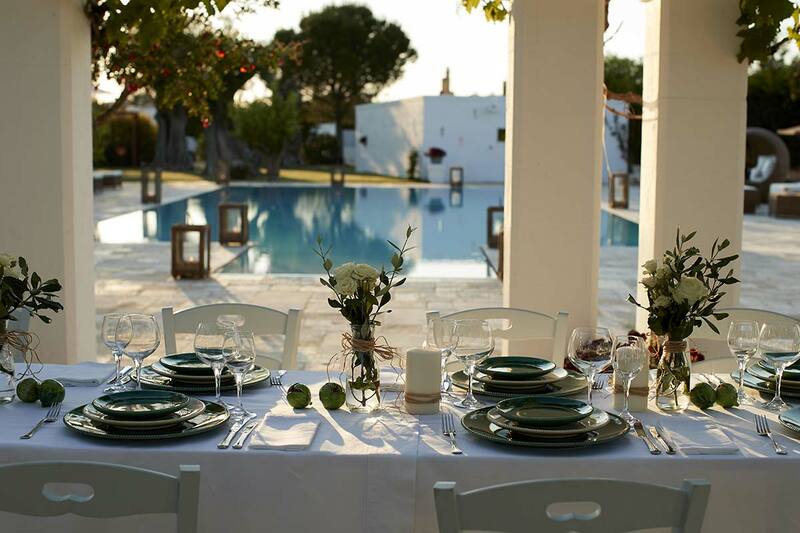 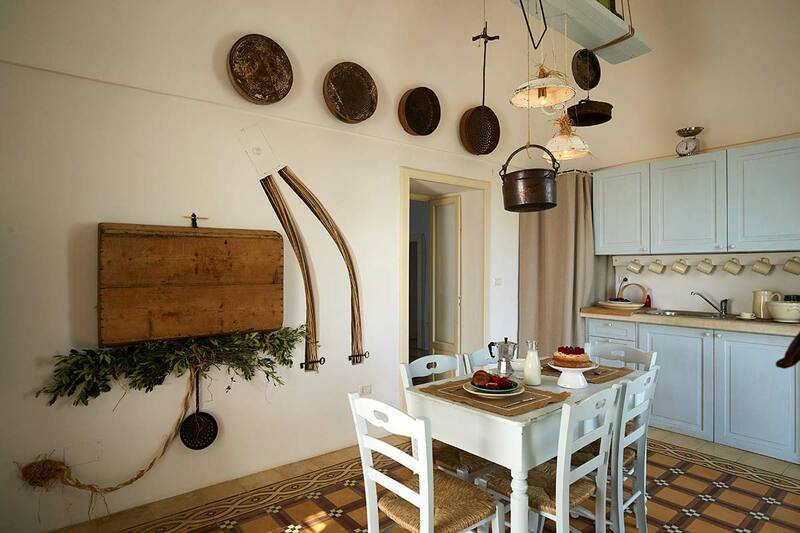 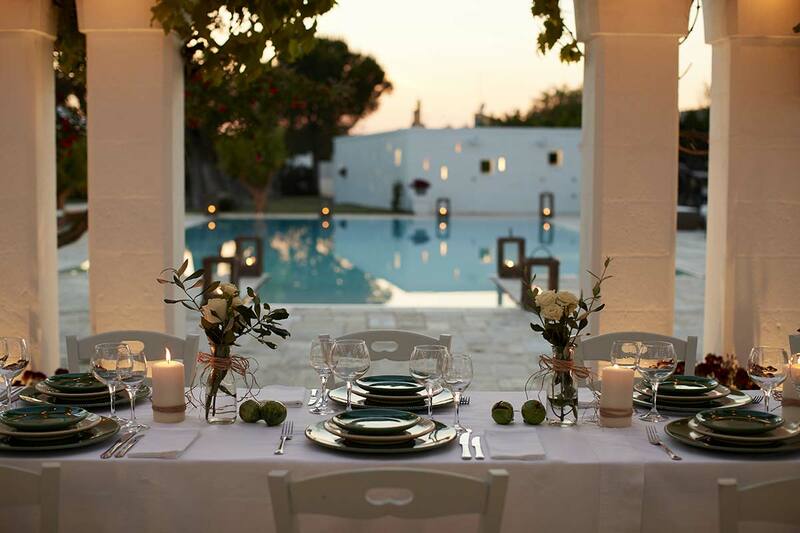 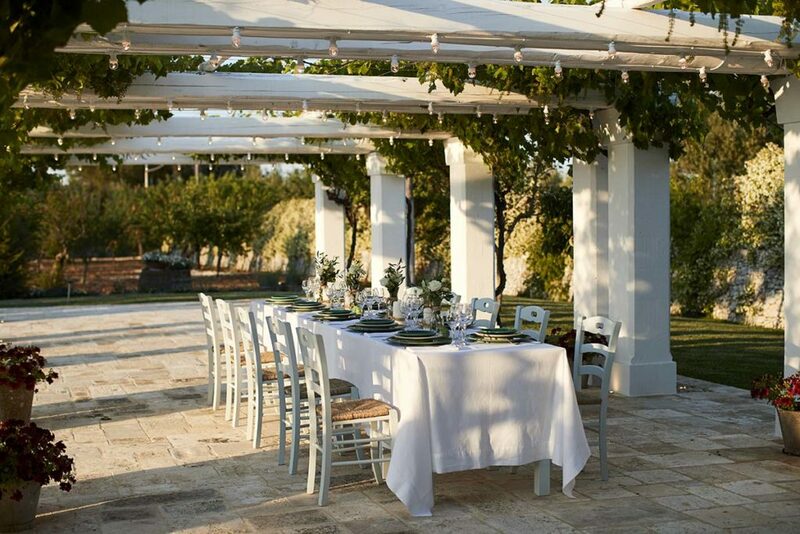 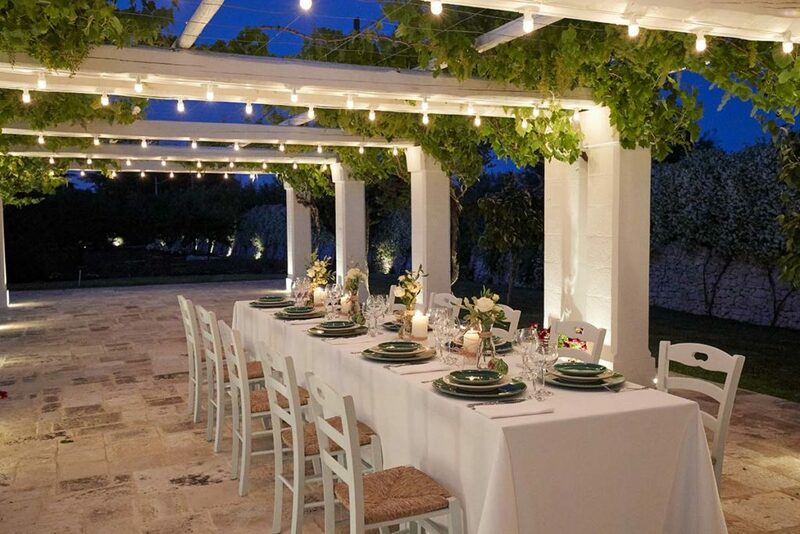 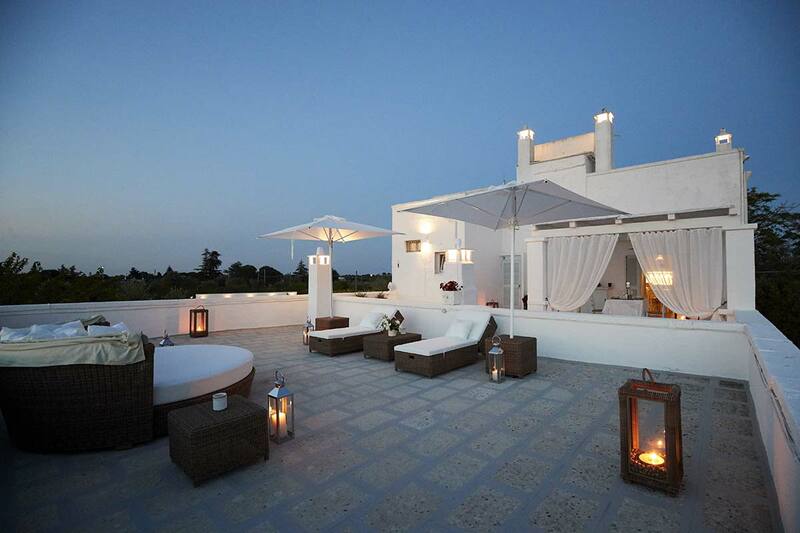 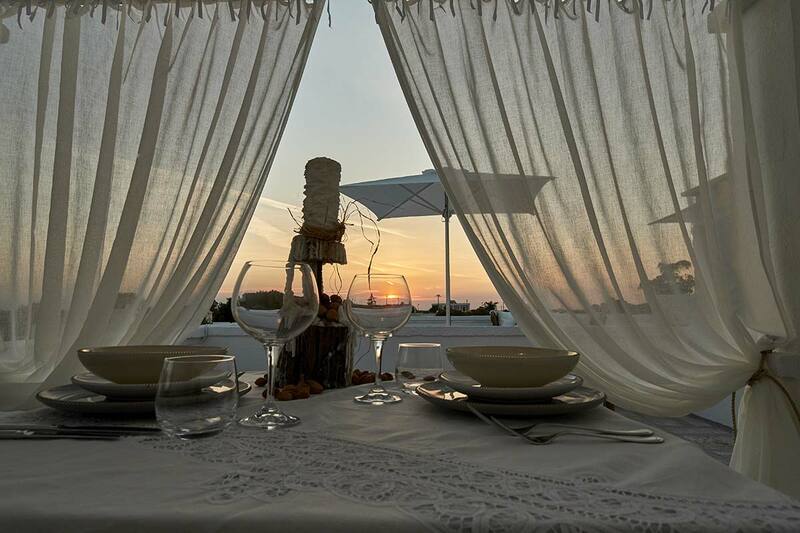 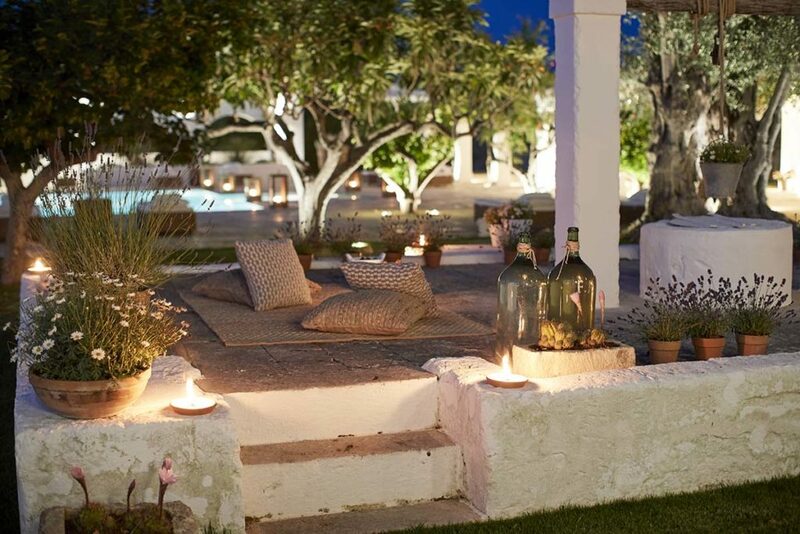 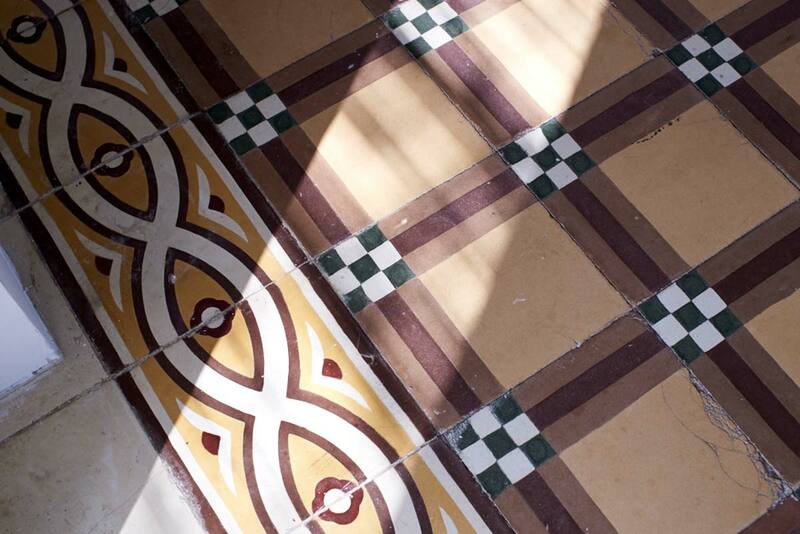 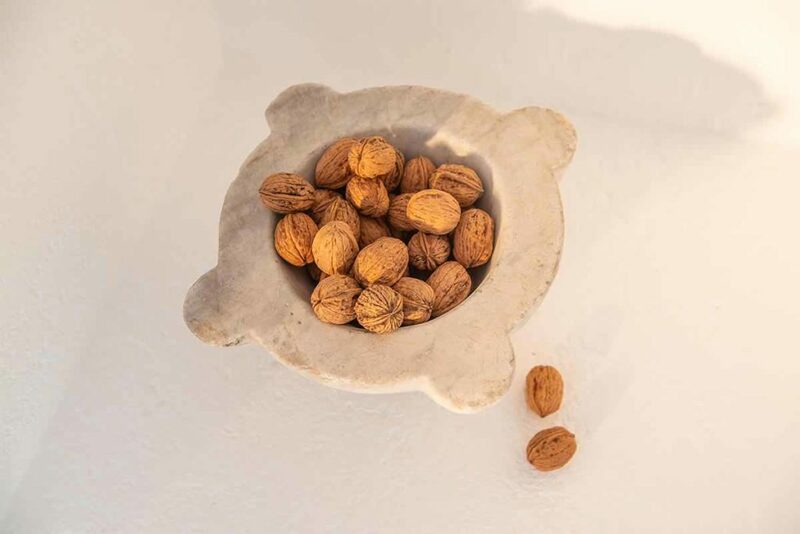 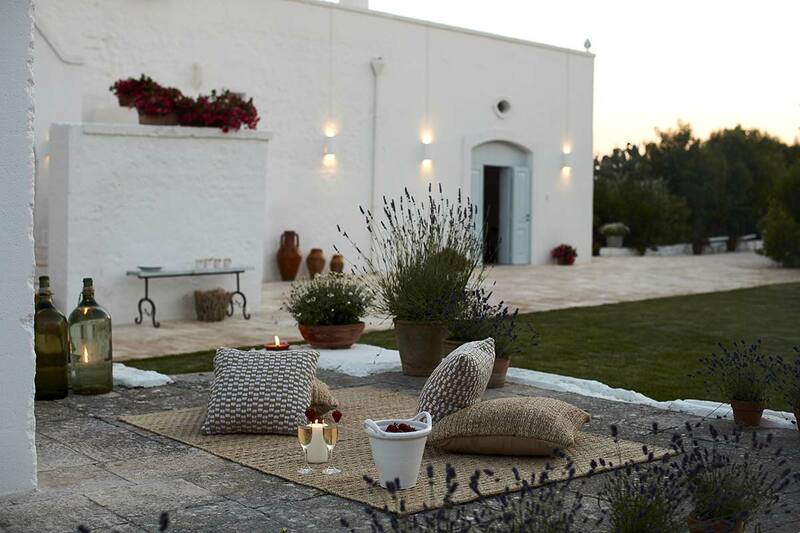 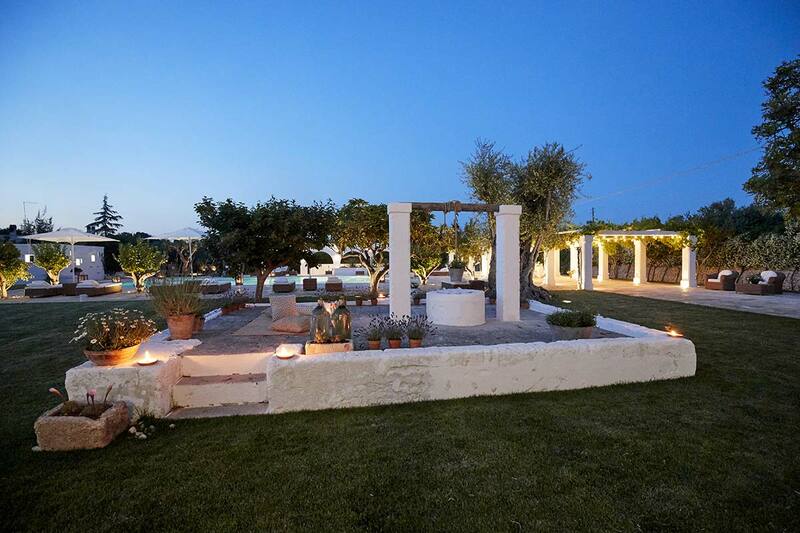 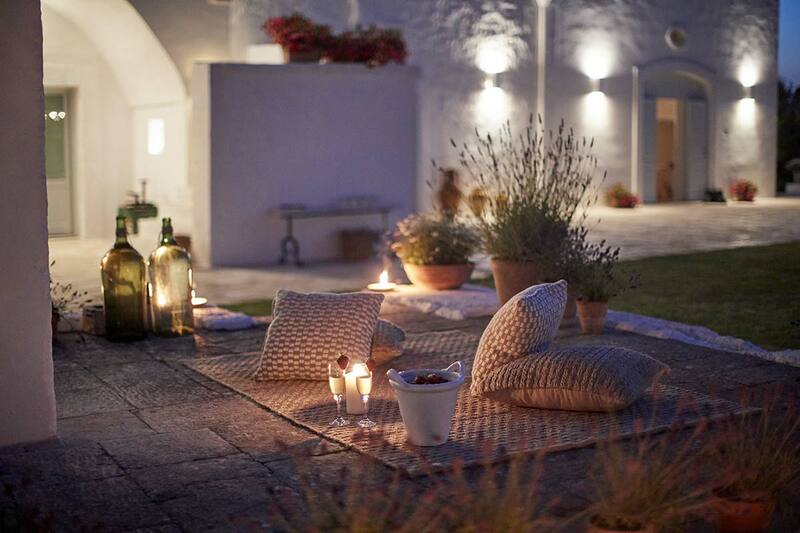 A holiday in Puglia is synonymous with the farm house, a perfect blend of elegance and tradition. 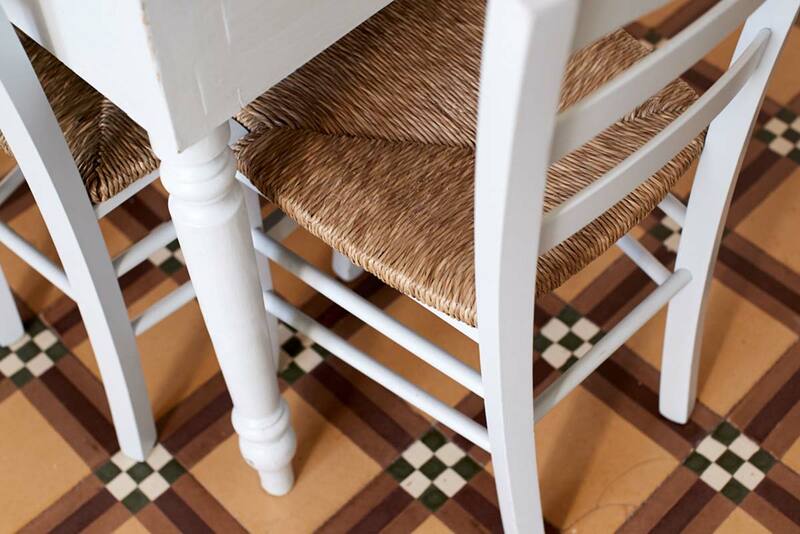 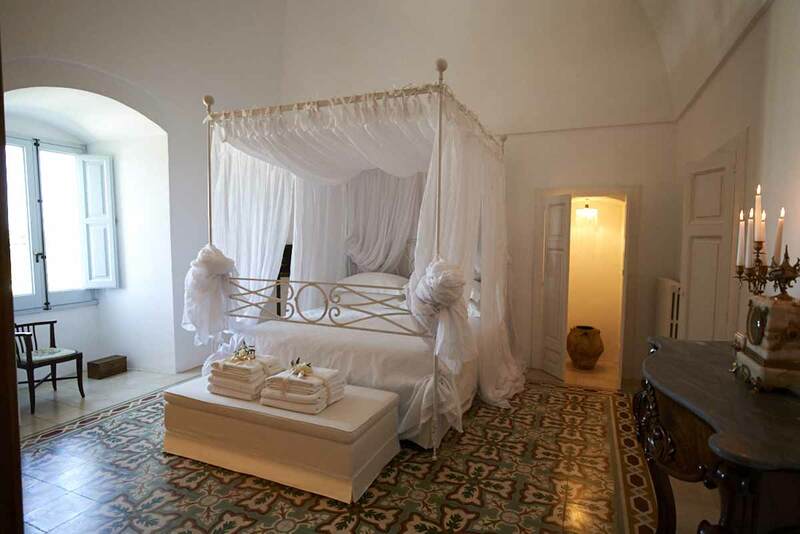 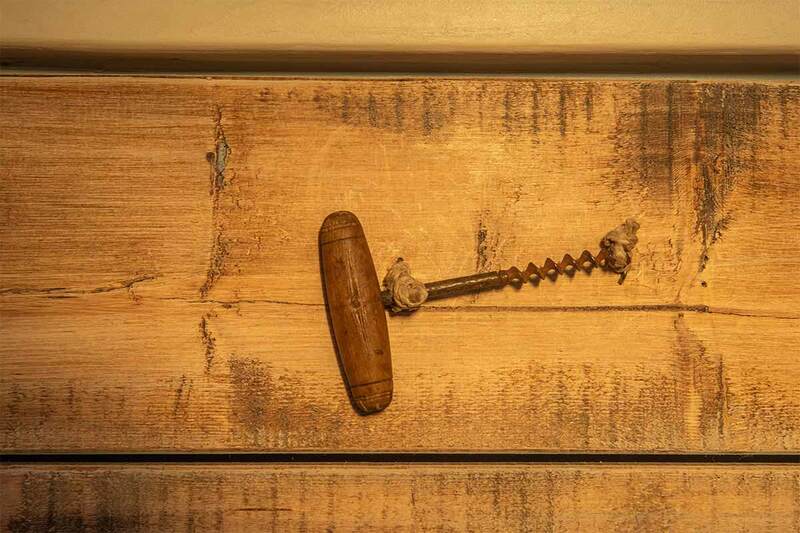 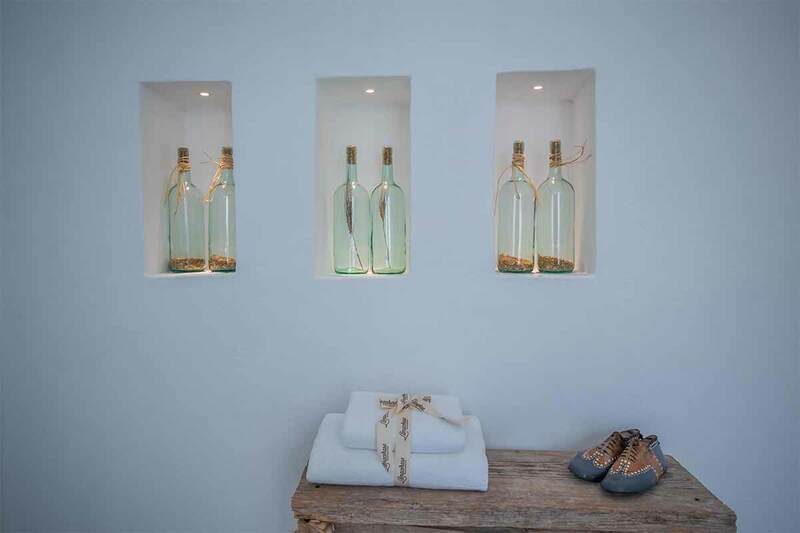 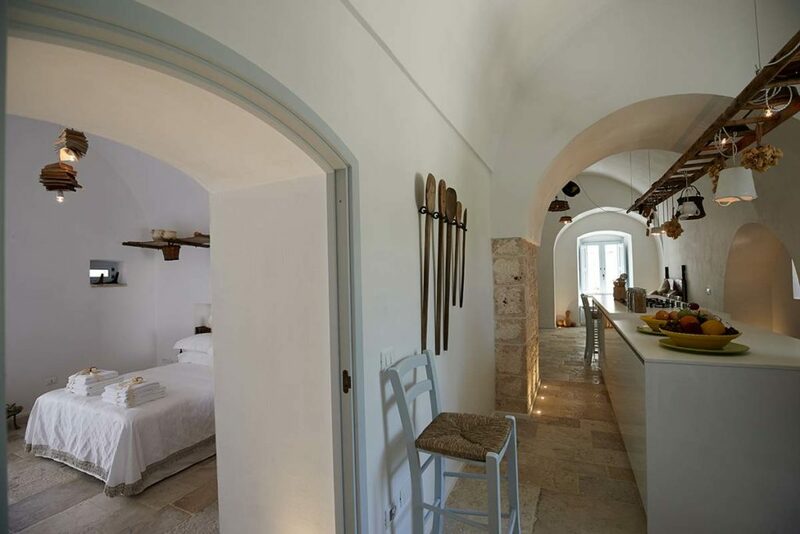 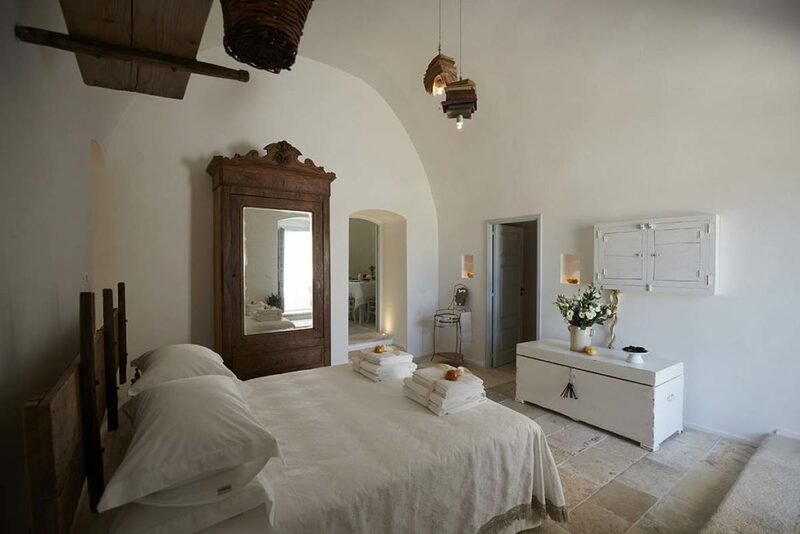 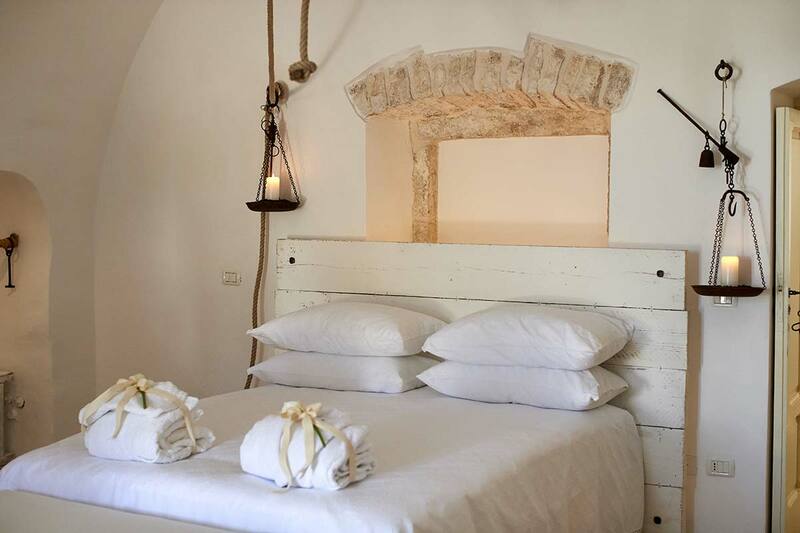 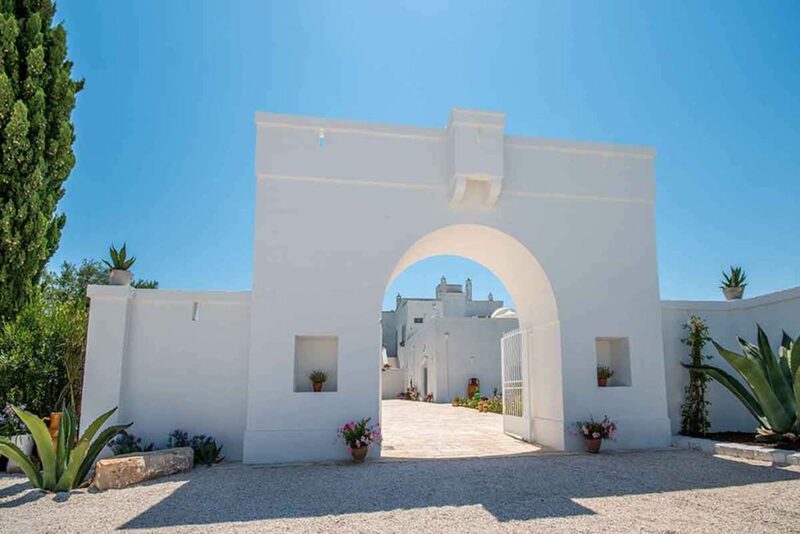 The Lamacerase Masseria is microcosm made from local stone and white lime, wrought iron furnishings and sought after finishing. 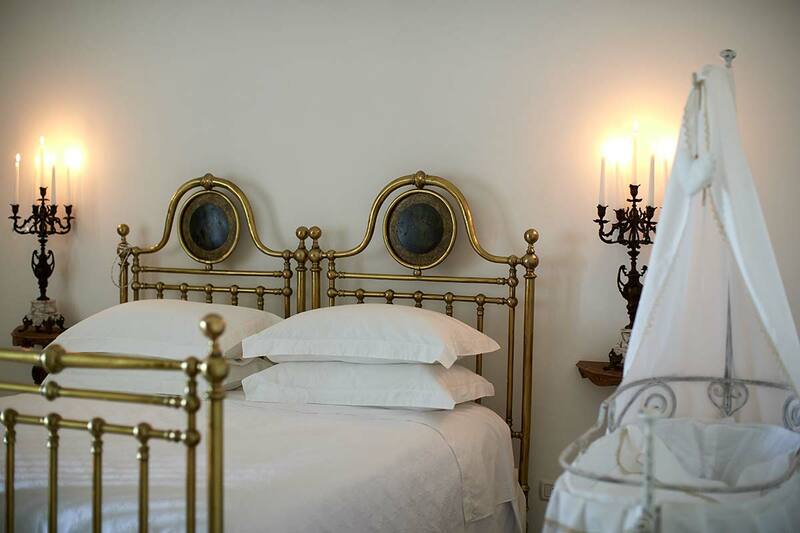 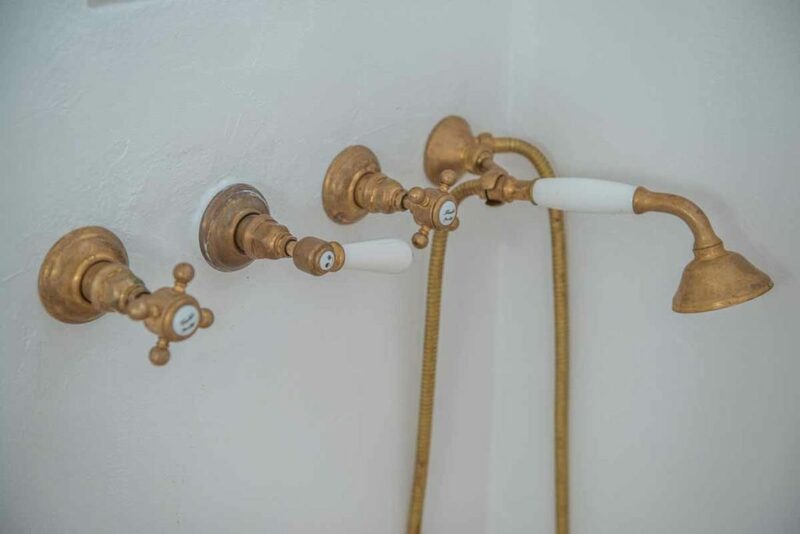 Details inherited from a peasant and sartorial tradition, celestial shades, niches and fireplaces, copper and wicker. 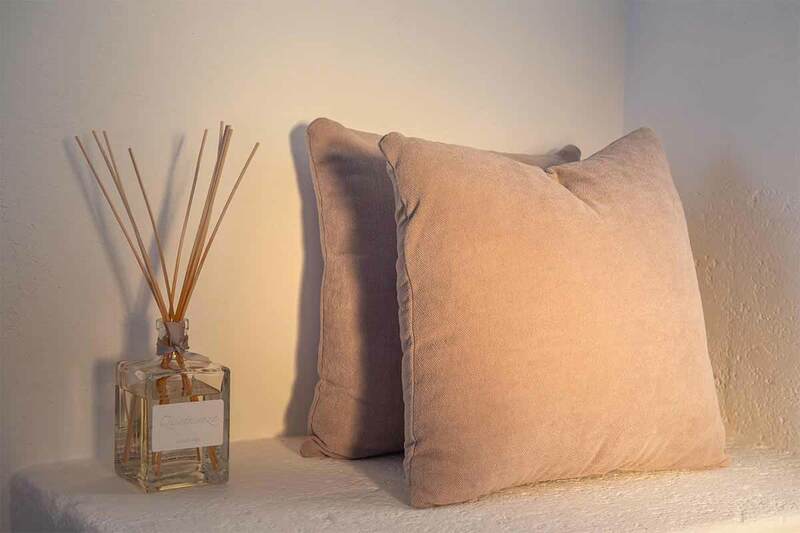 An extremely welcoming space where time flows slowly, connecting mind, body and soul into the silent tranquillity of nature. 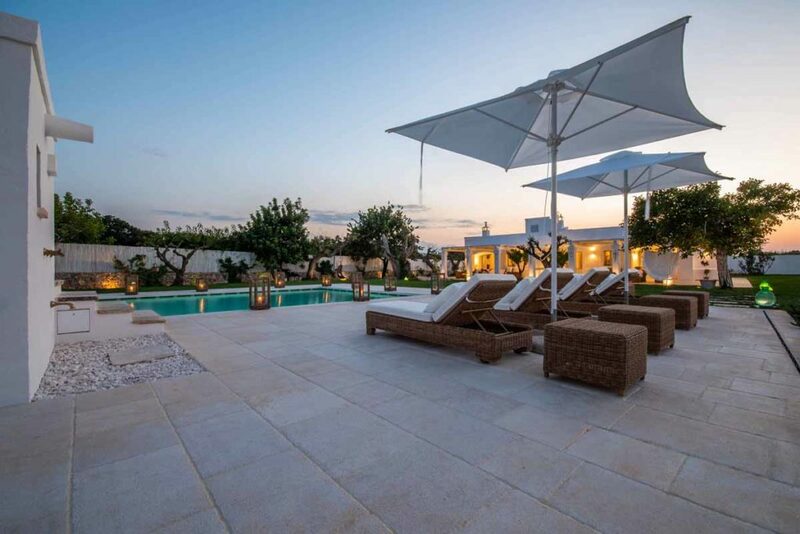 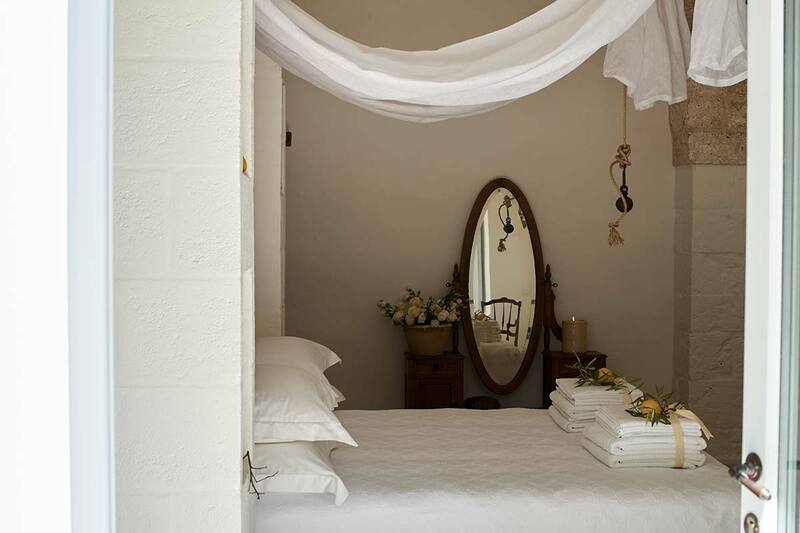 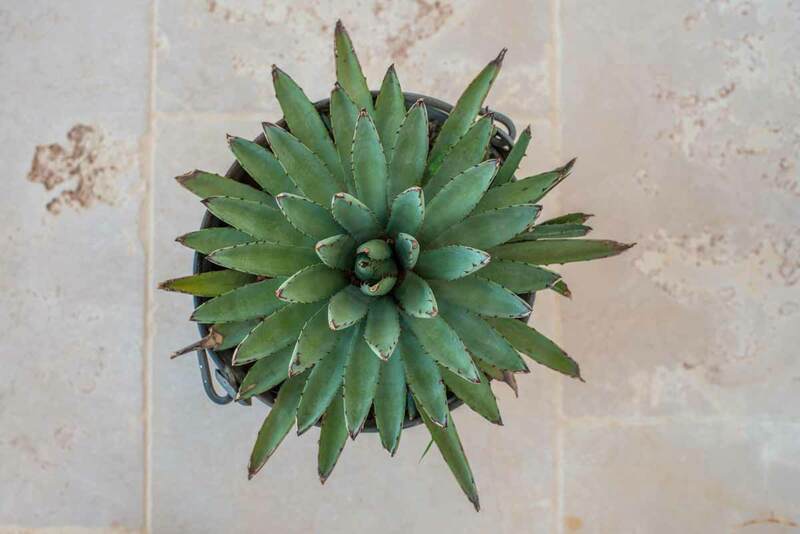 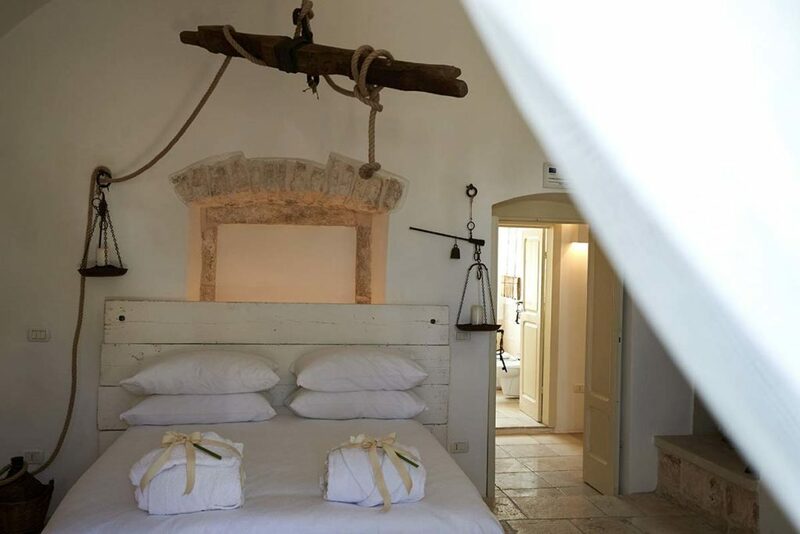 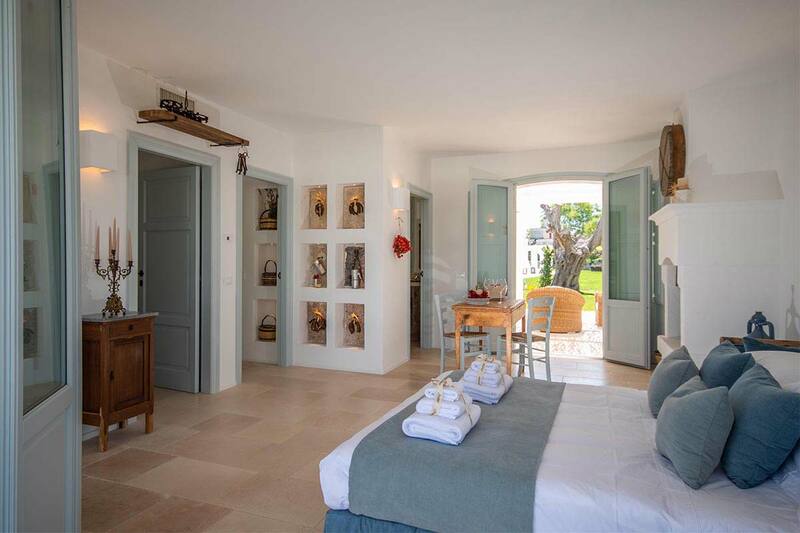 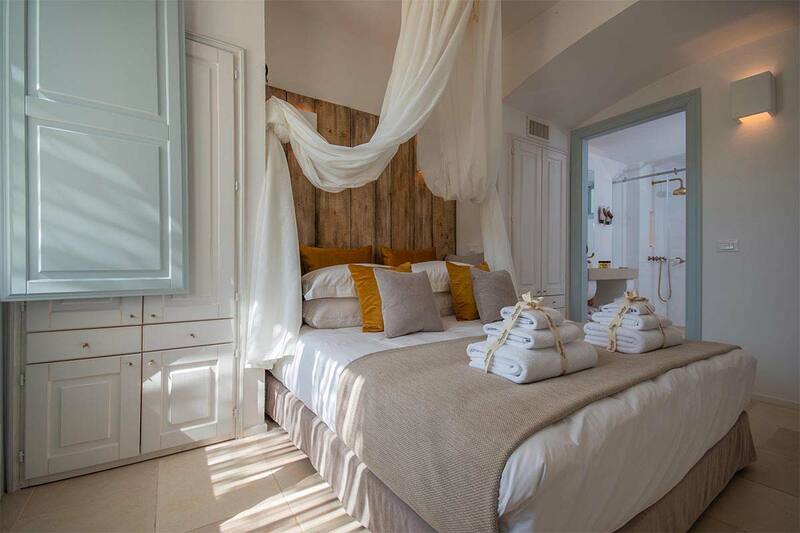 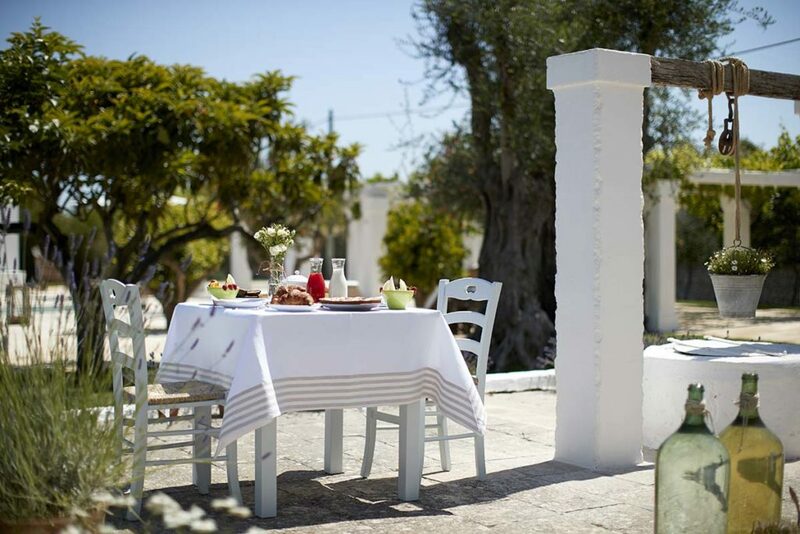 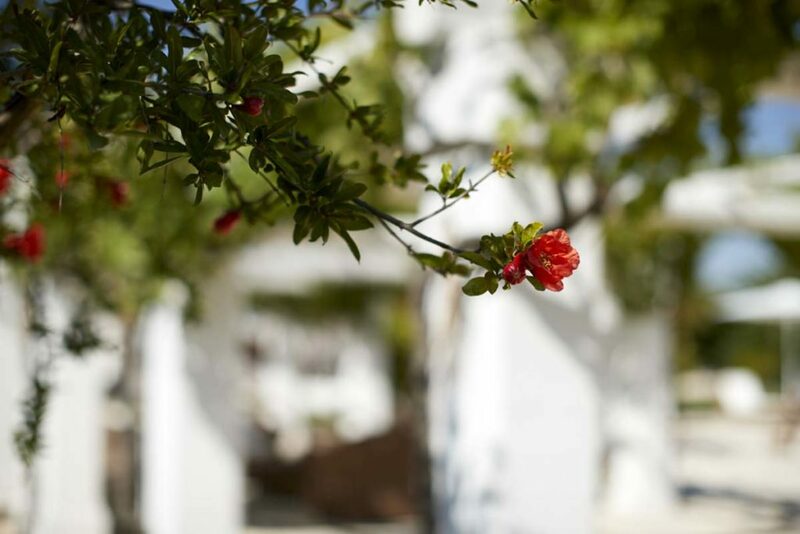 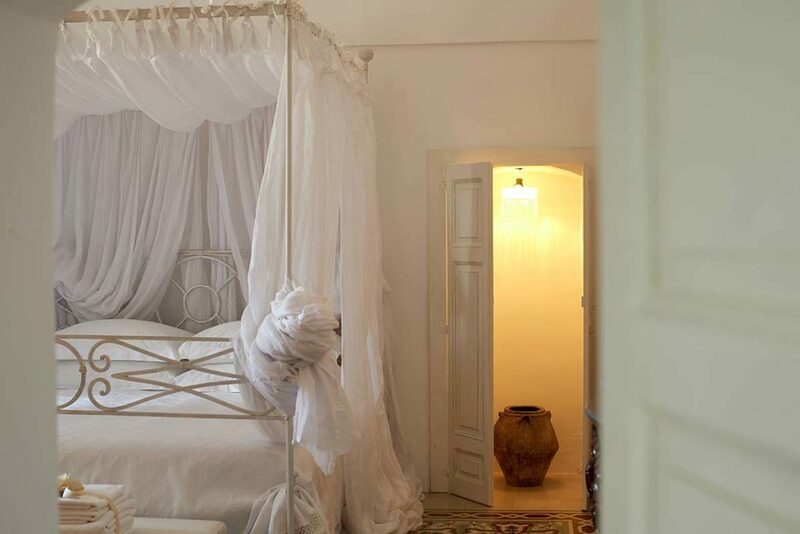 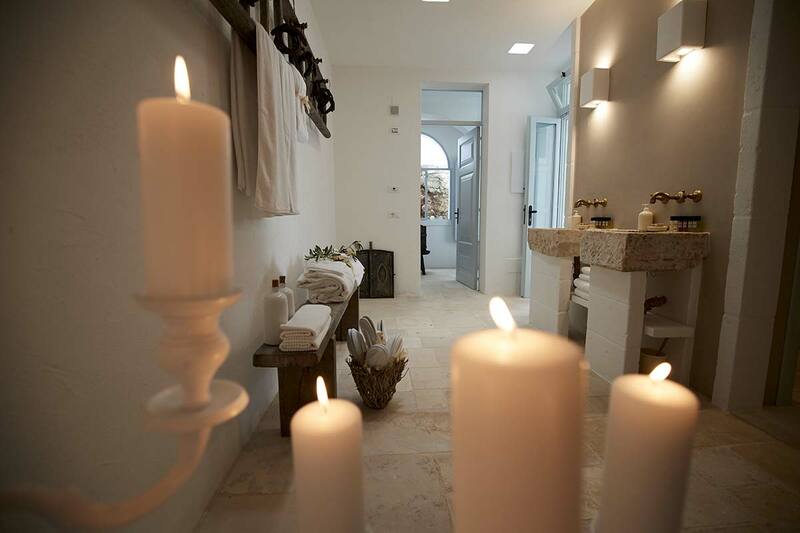 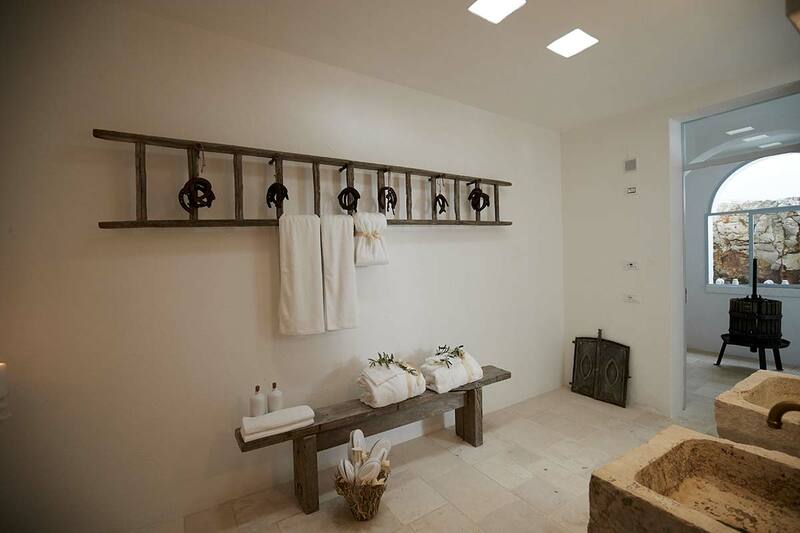 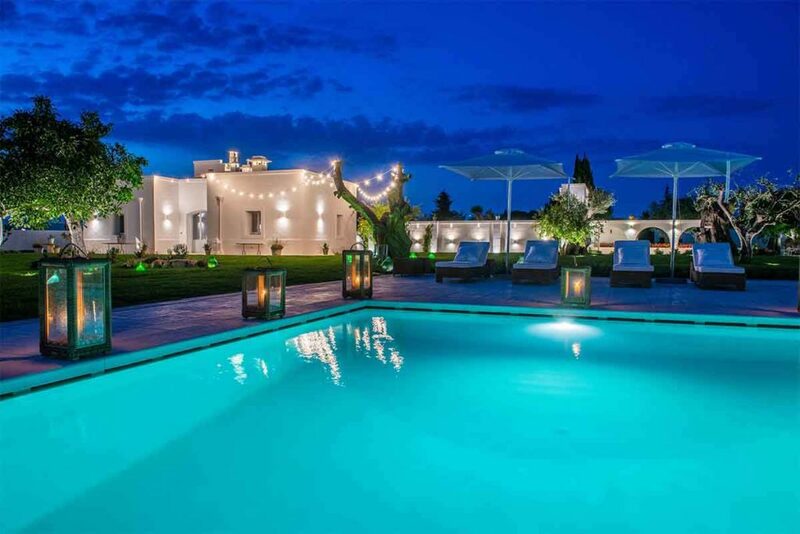 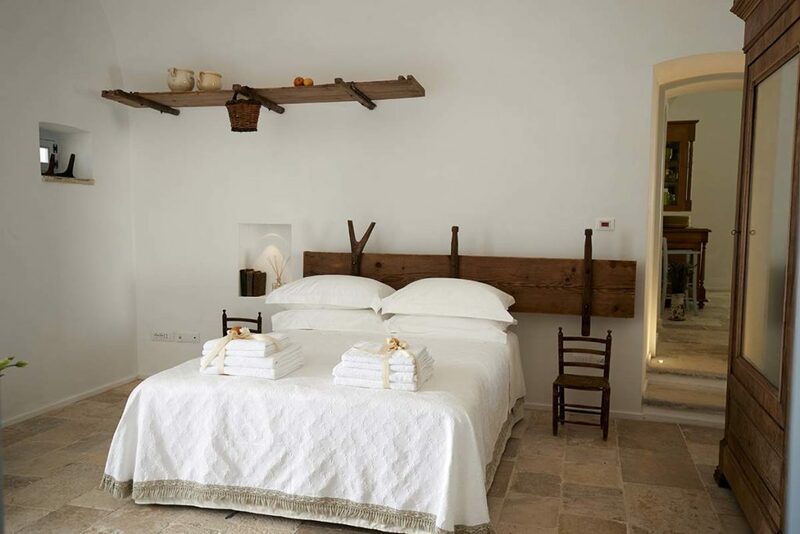 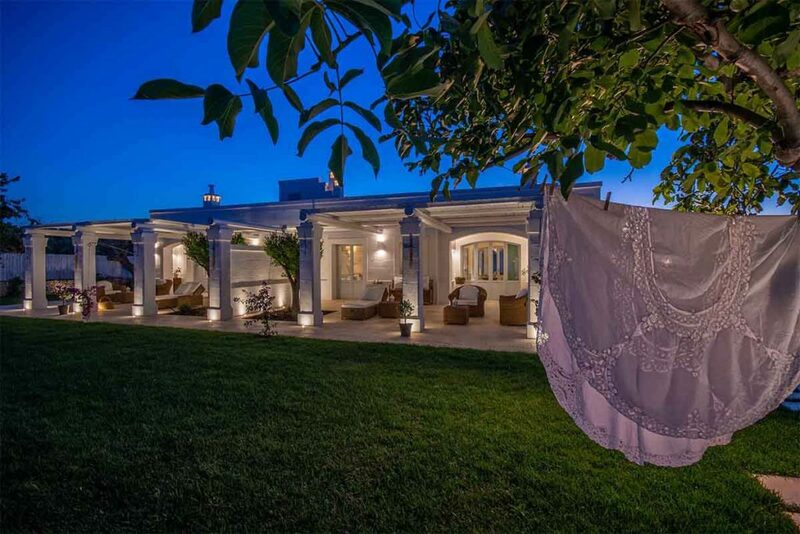 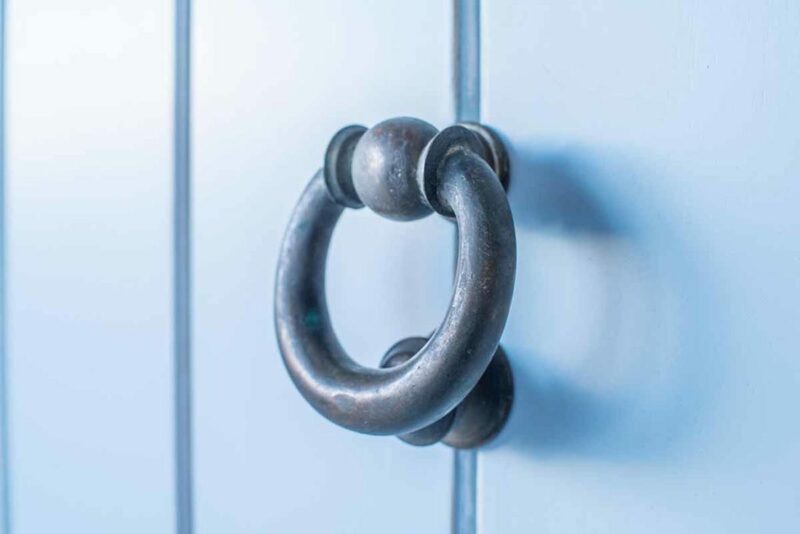 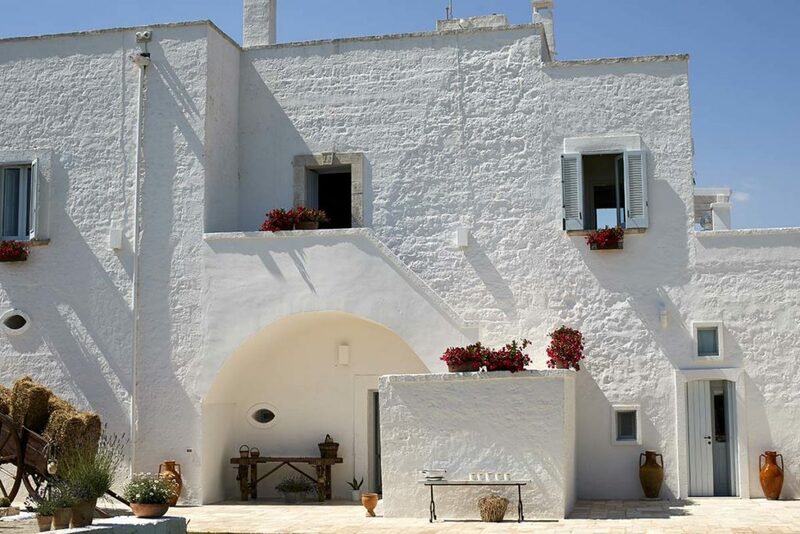 The Masseria has two apartments on the ground floor and one on the first floor, each with four beds, an independent entrance and a private and equipped outdoor area. 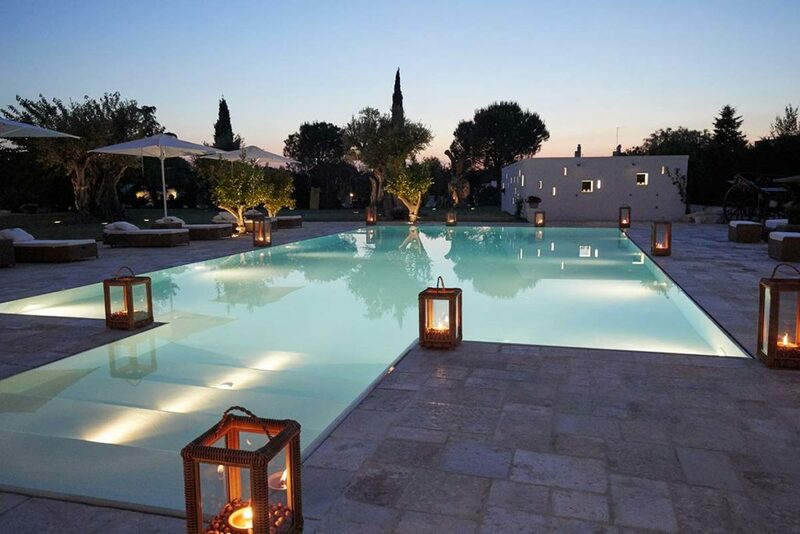 Each apartment overlooks a lovely communal swimming pool surrounded by a relaxing, stone-paved solarium, nestled in a 2-hectare garden and a green oasis of olive trees. 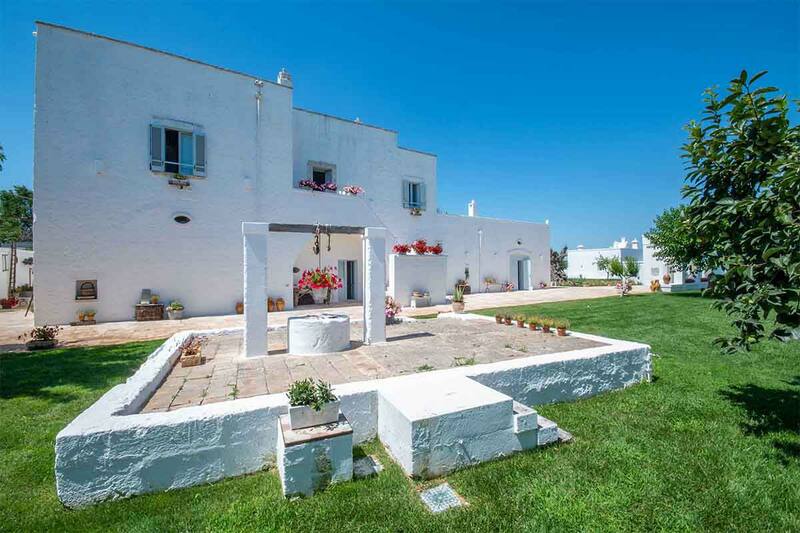 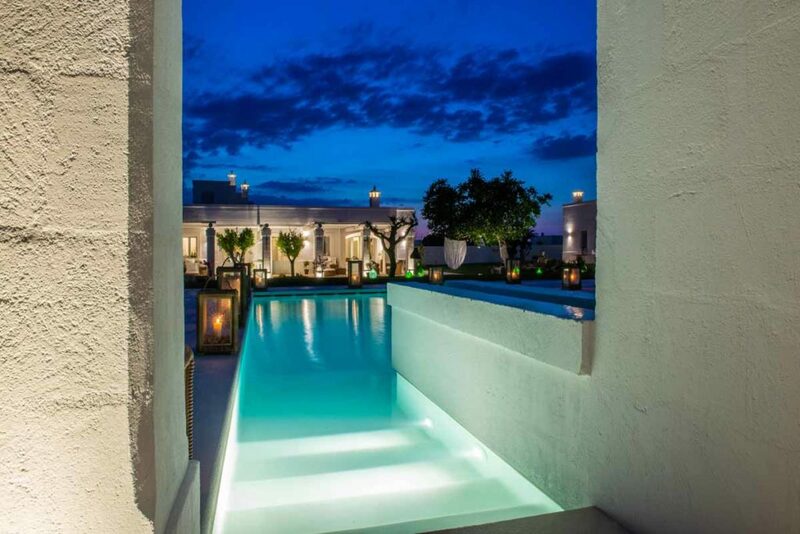 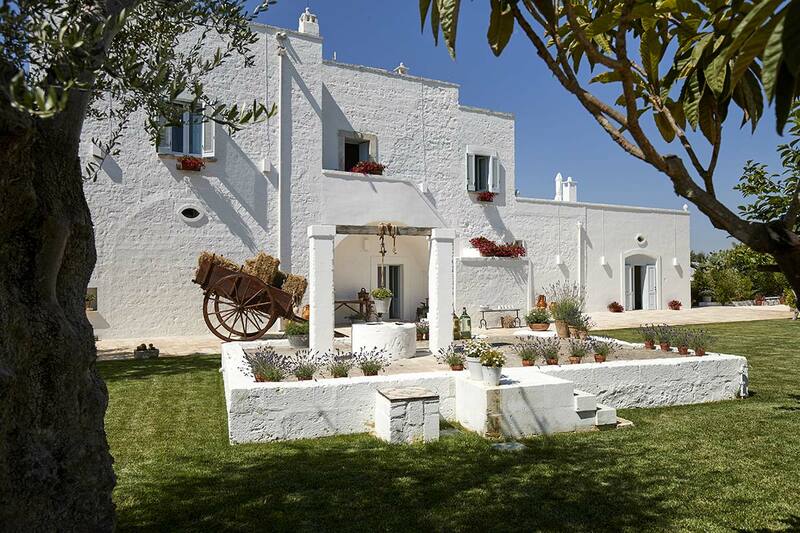 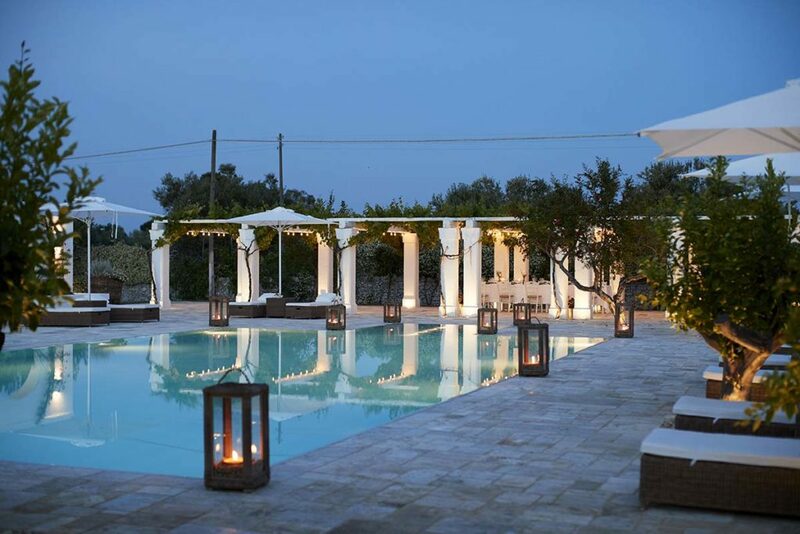 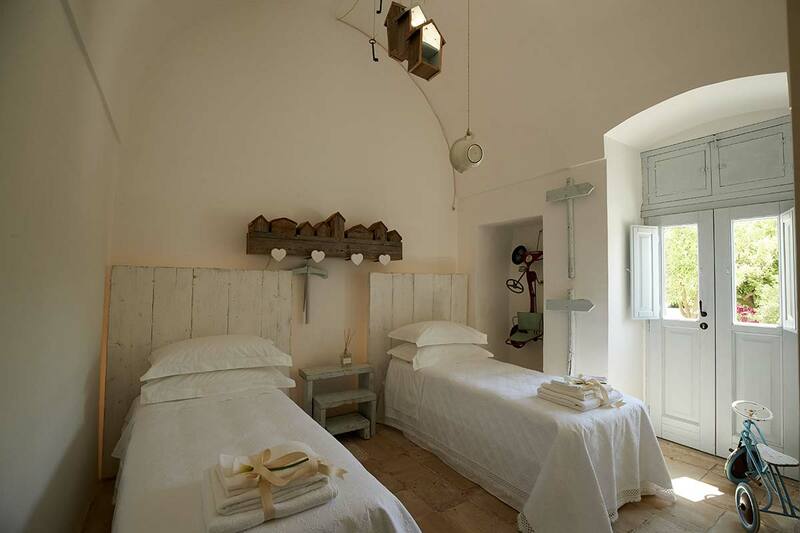 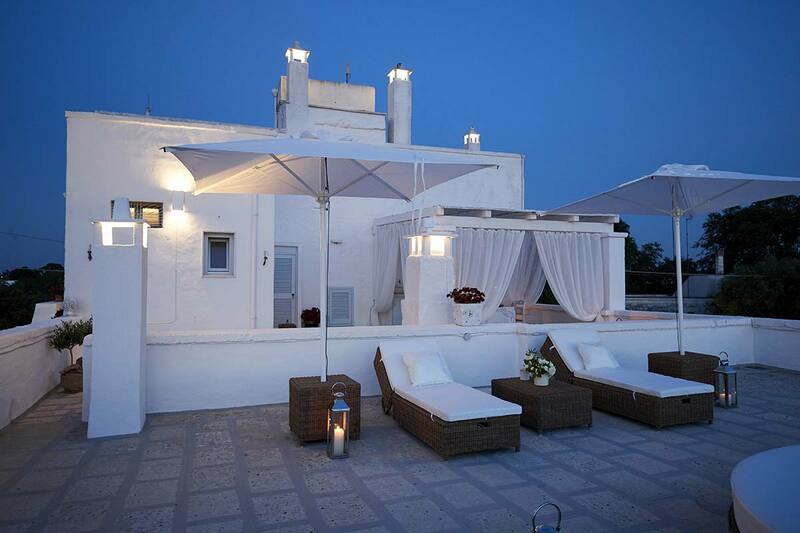 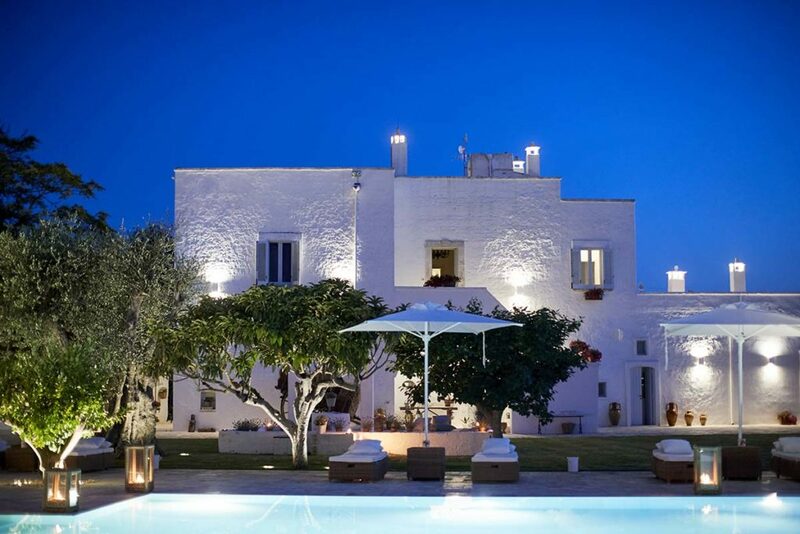 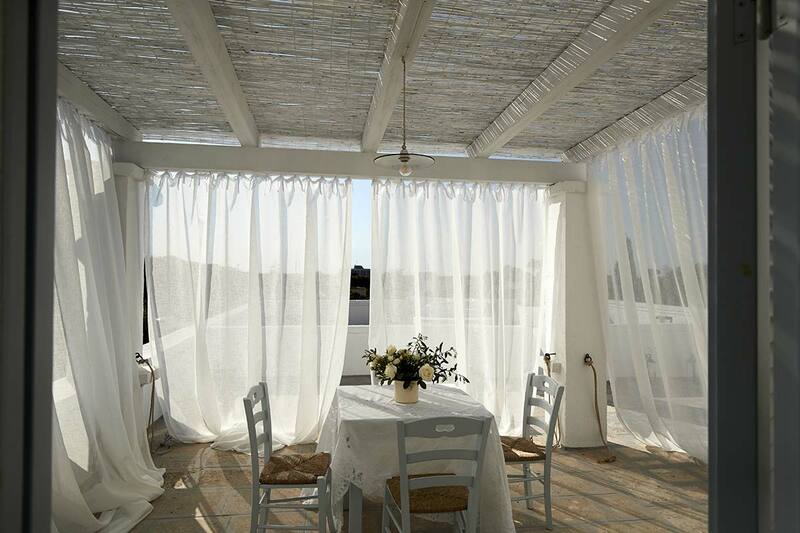 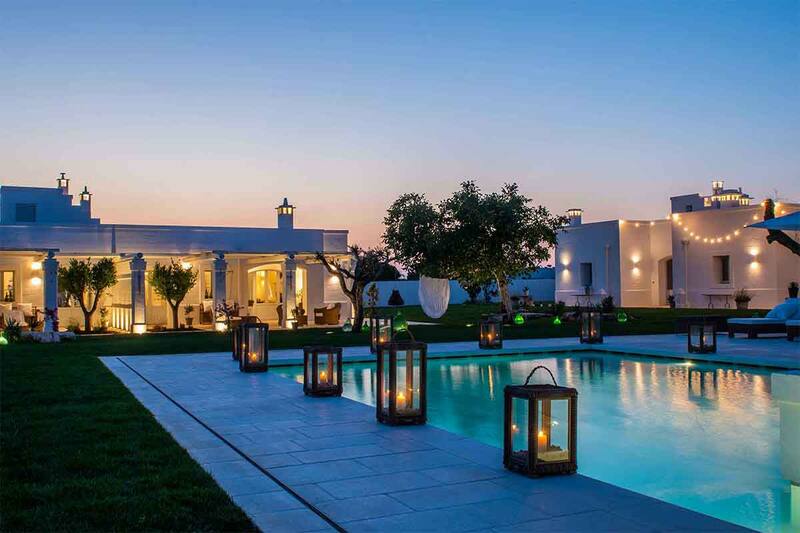 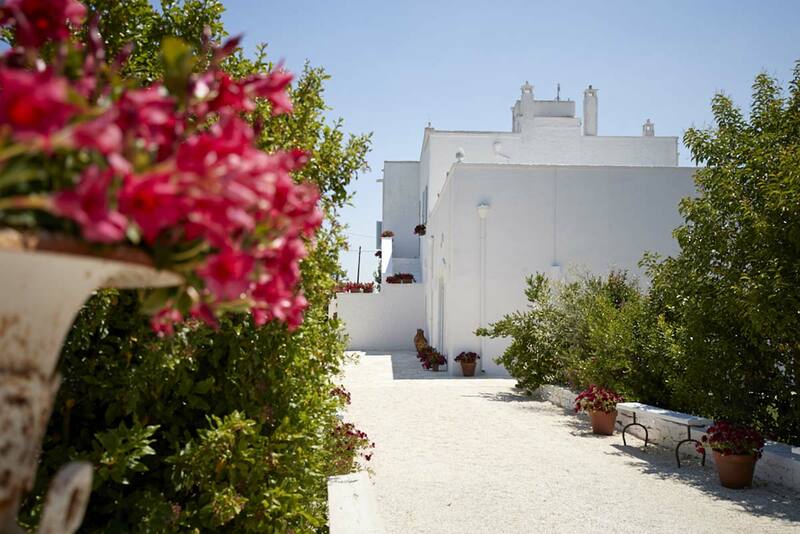 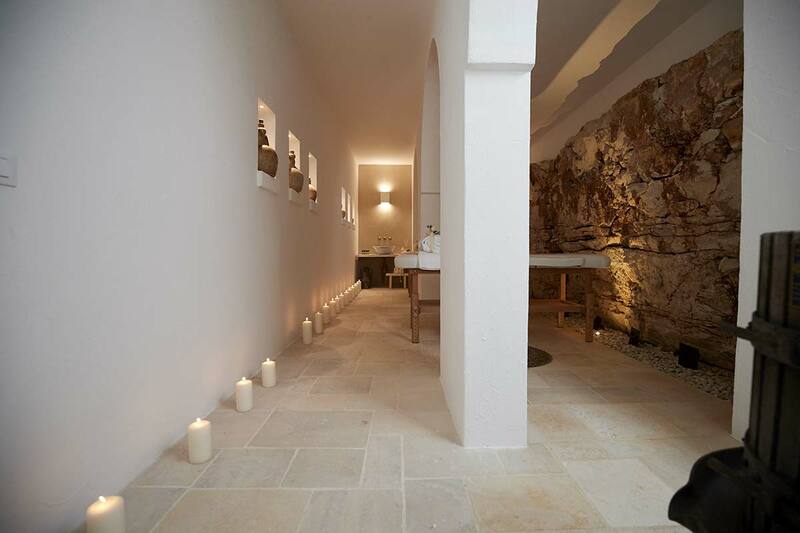 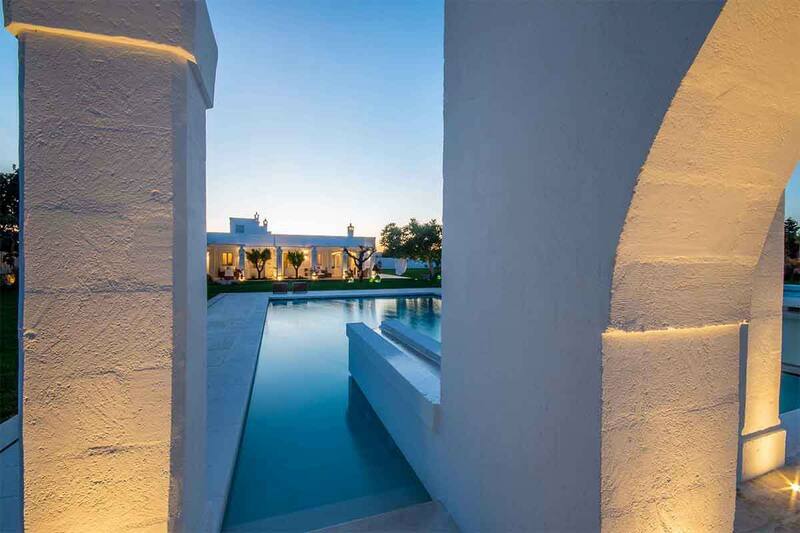 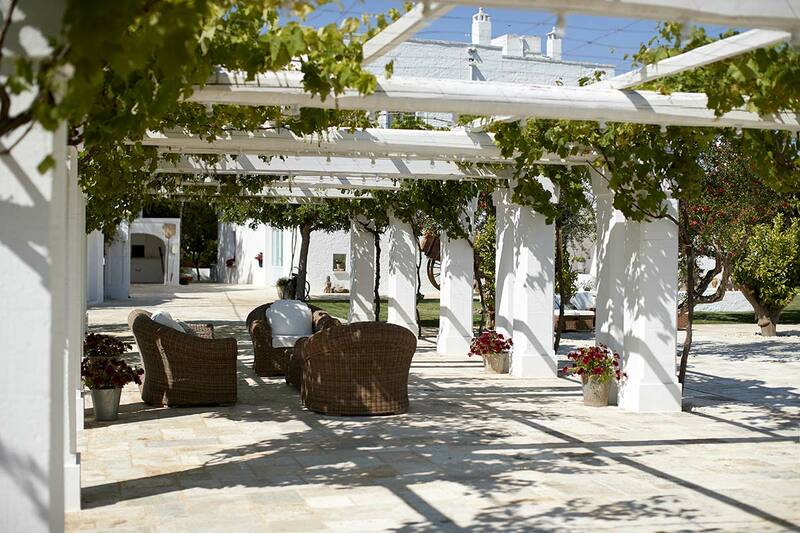 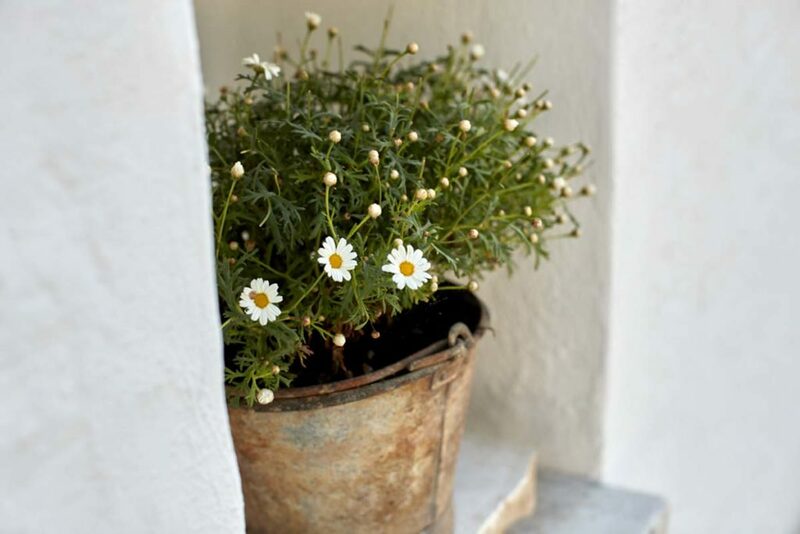 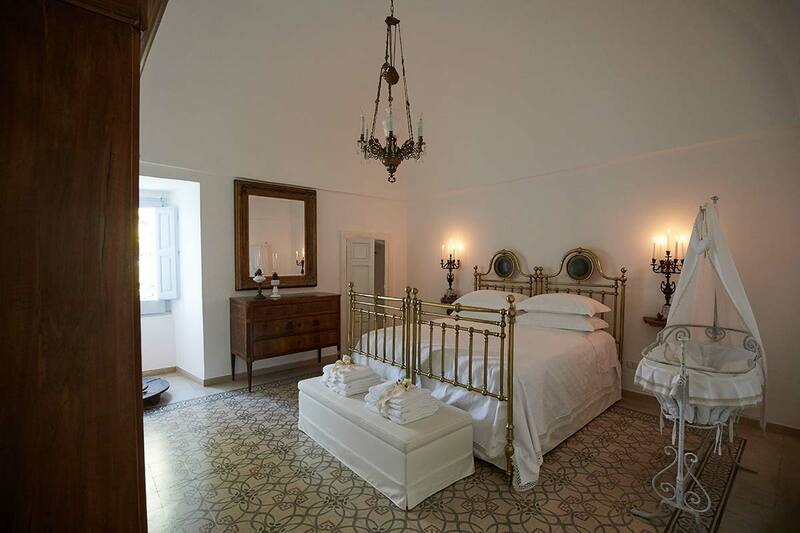 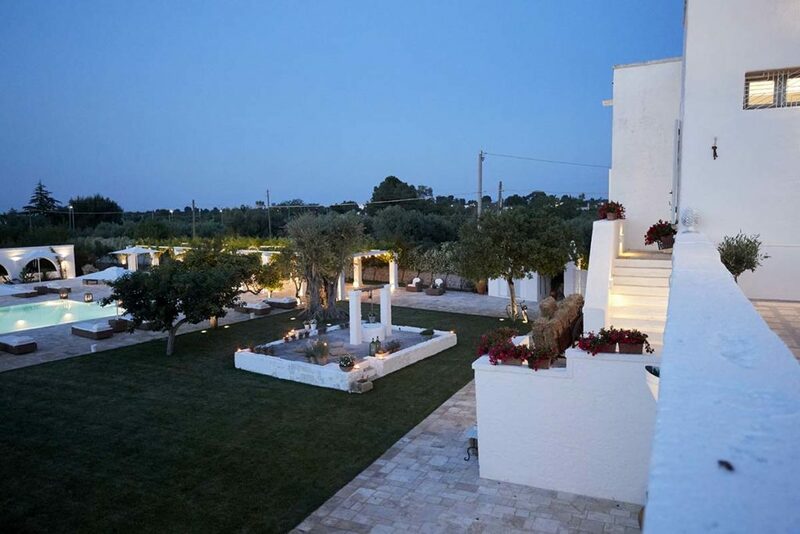 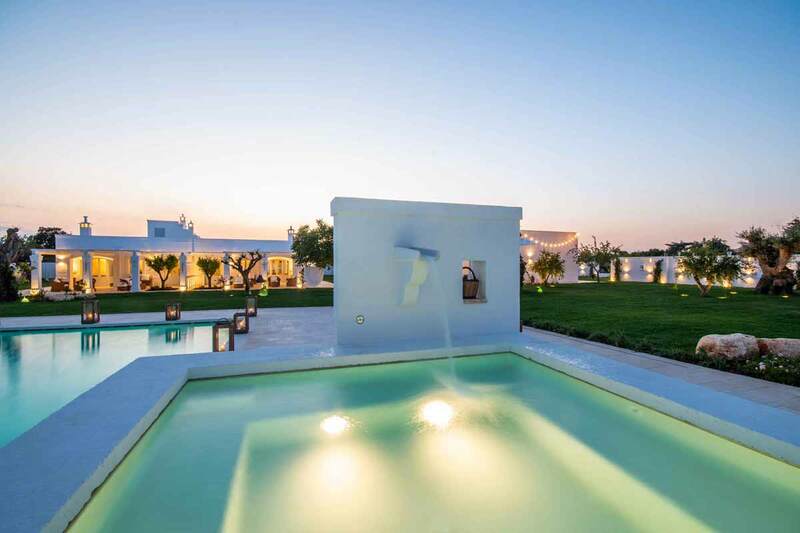 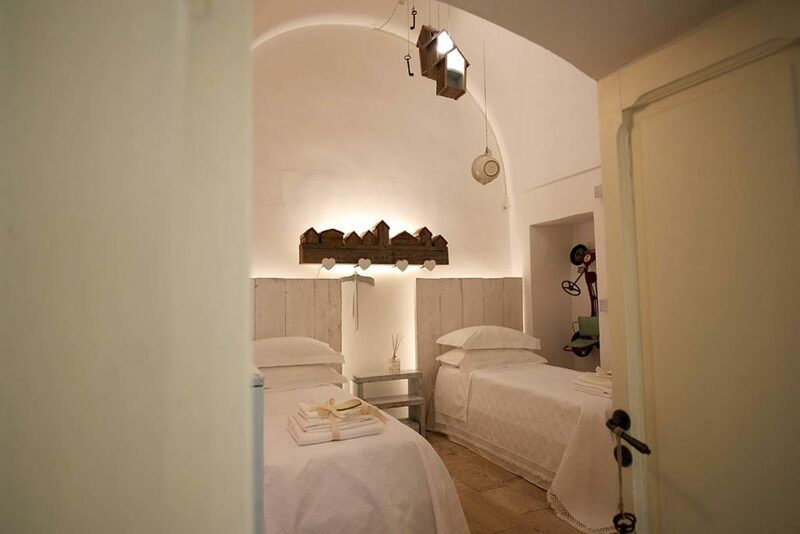 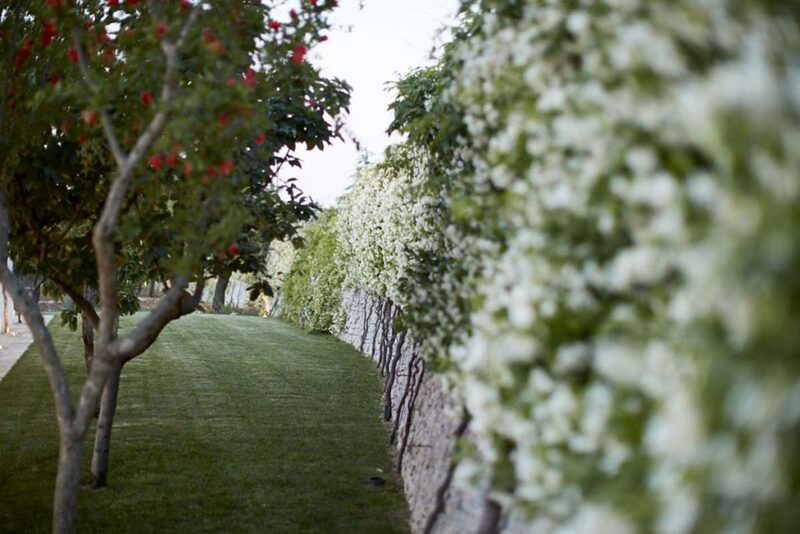 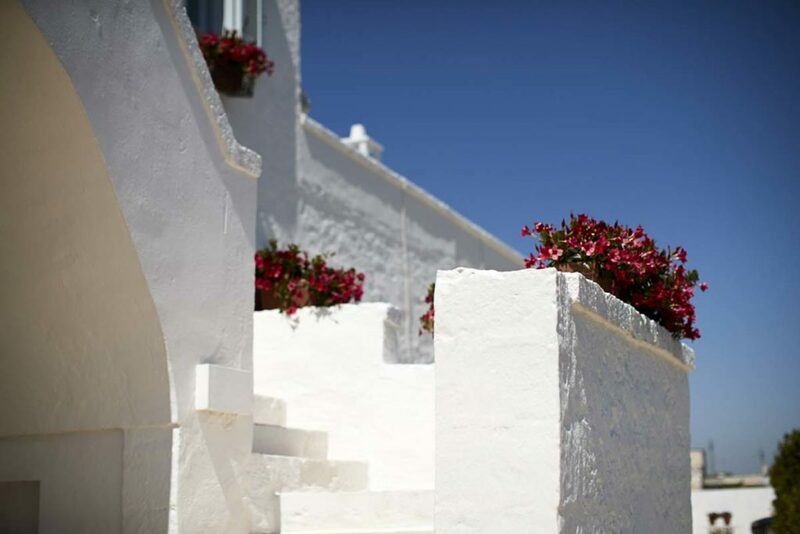 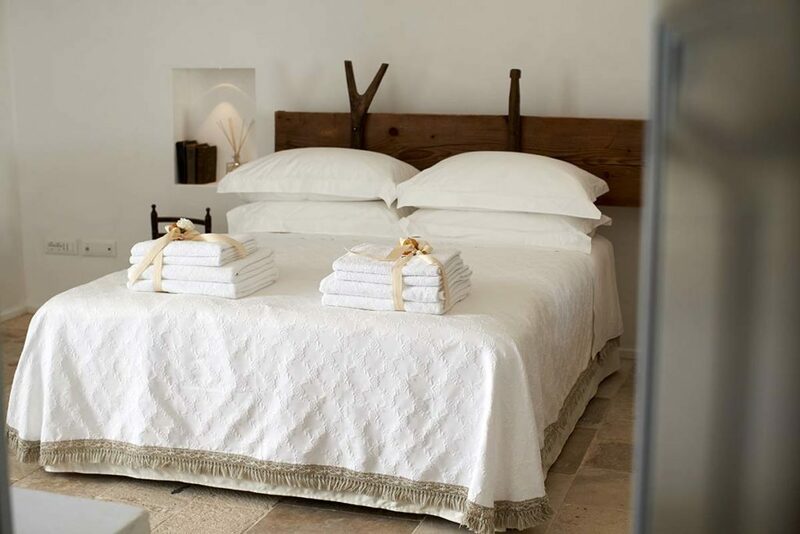 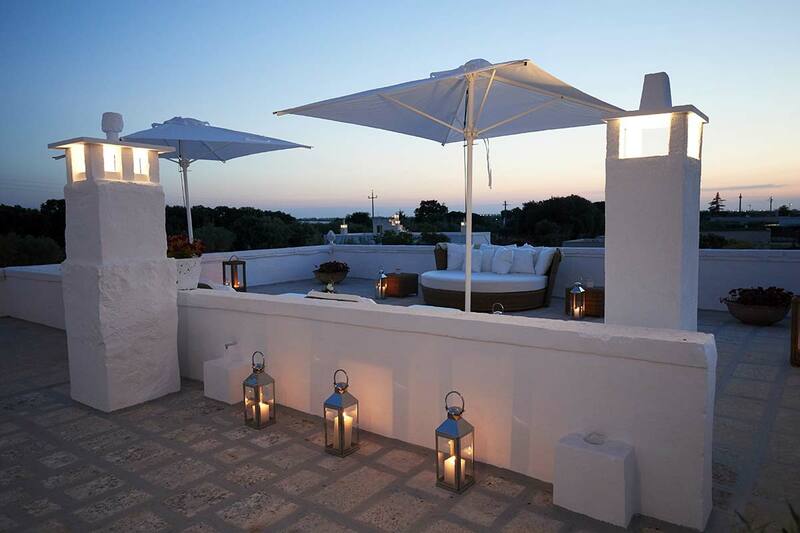 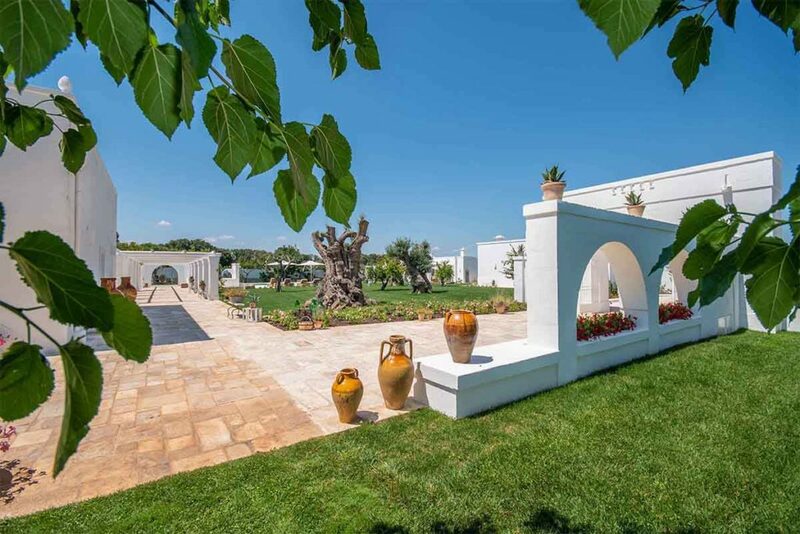 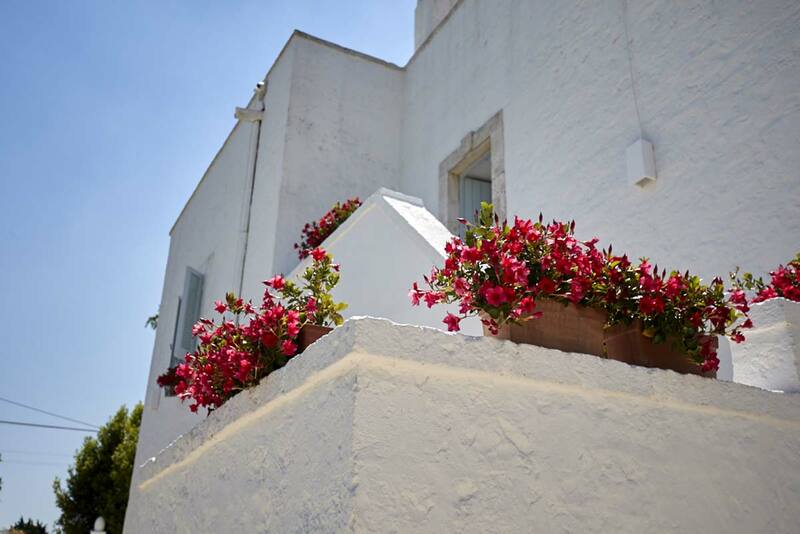 Two elegant, white dépendance are next to the Masseria. 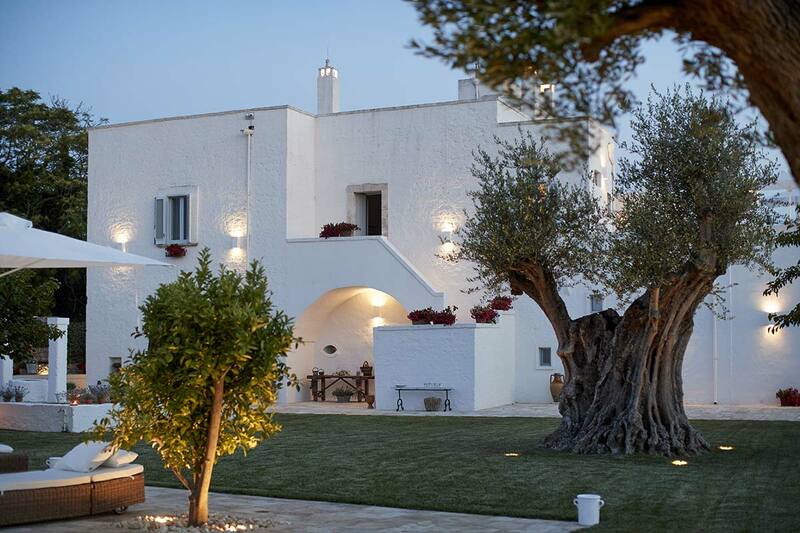 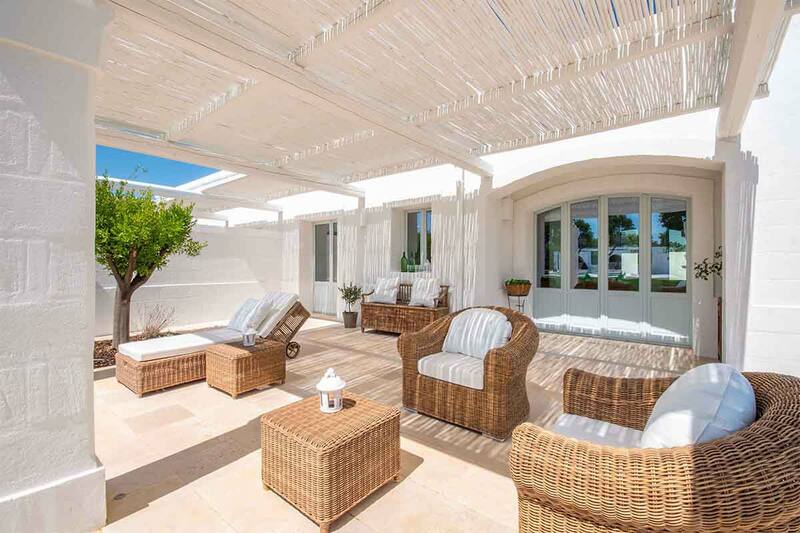 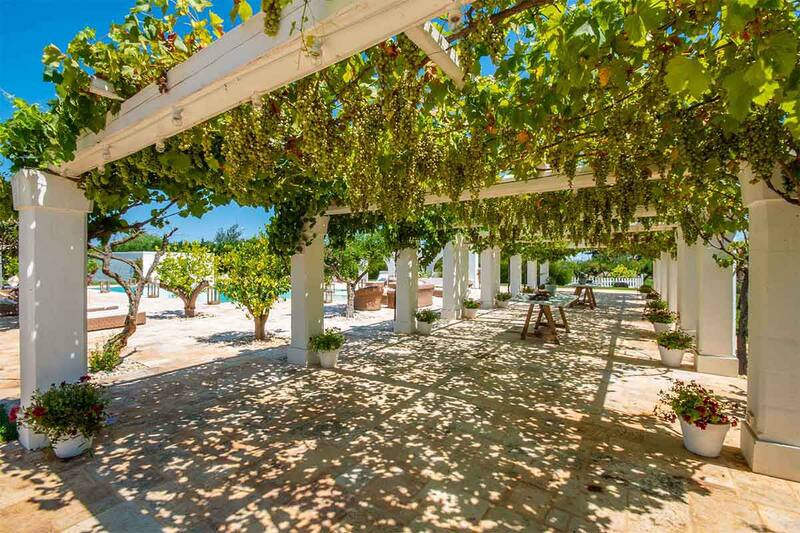 They are immersed in the green Apulian nature and they combine private environments with a unique interior. 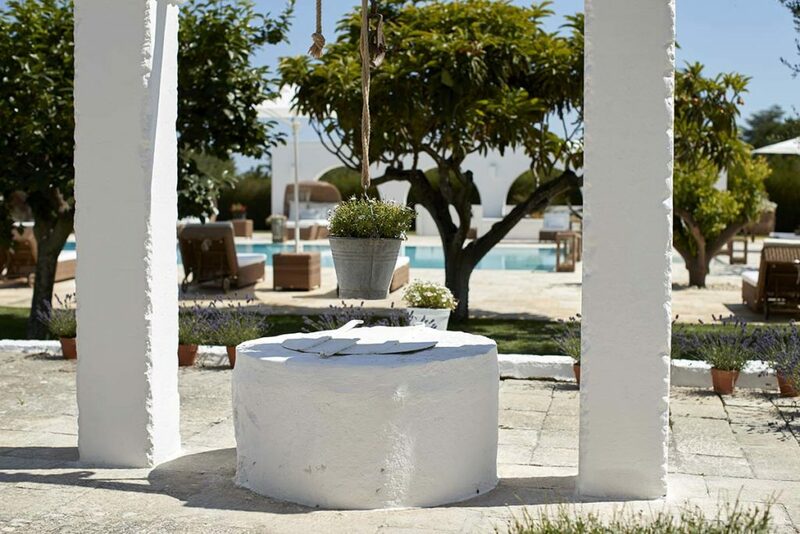 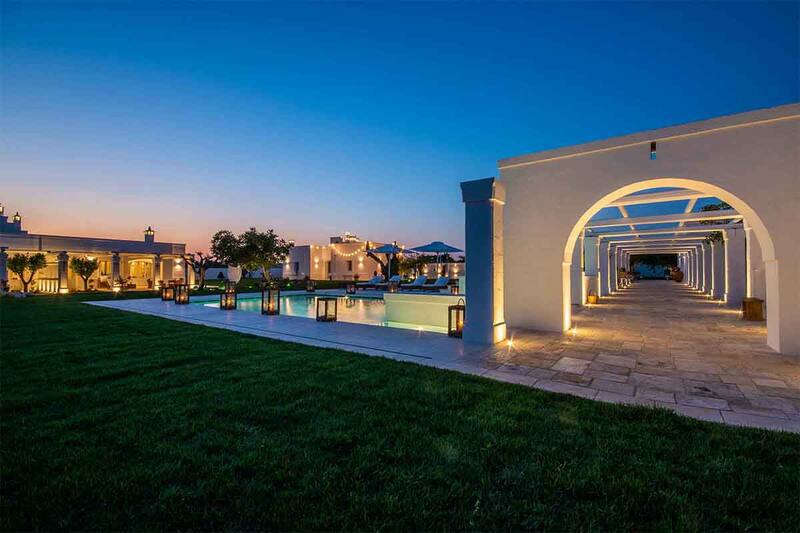 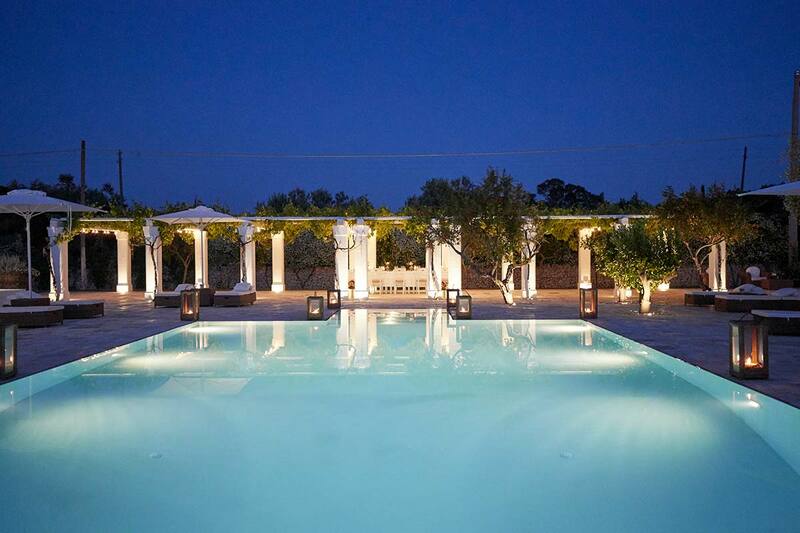 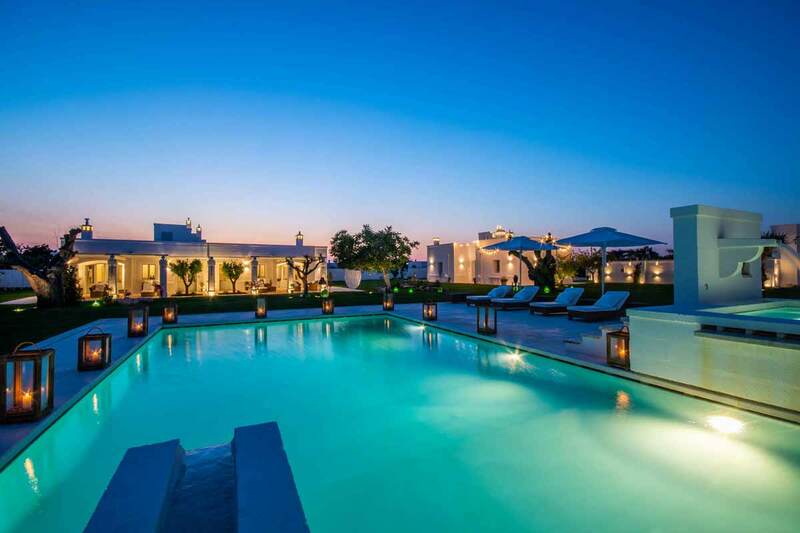 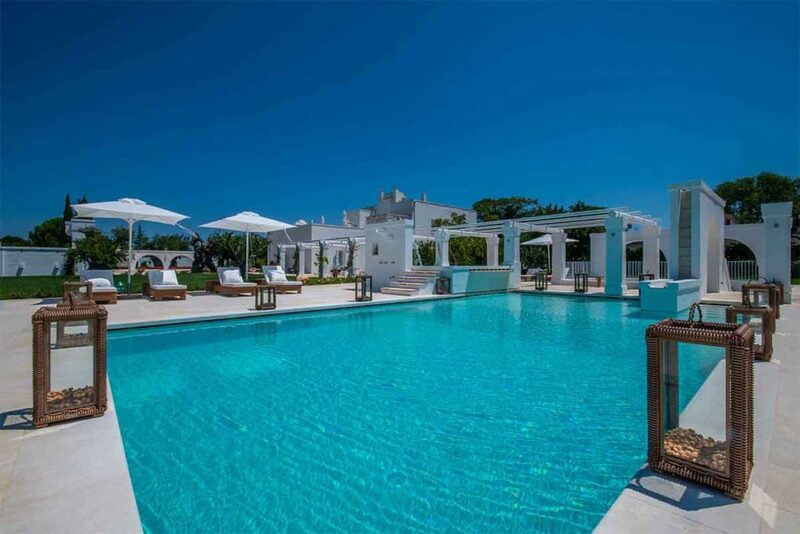 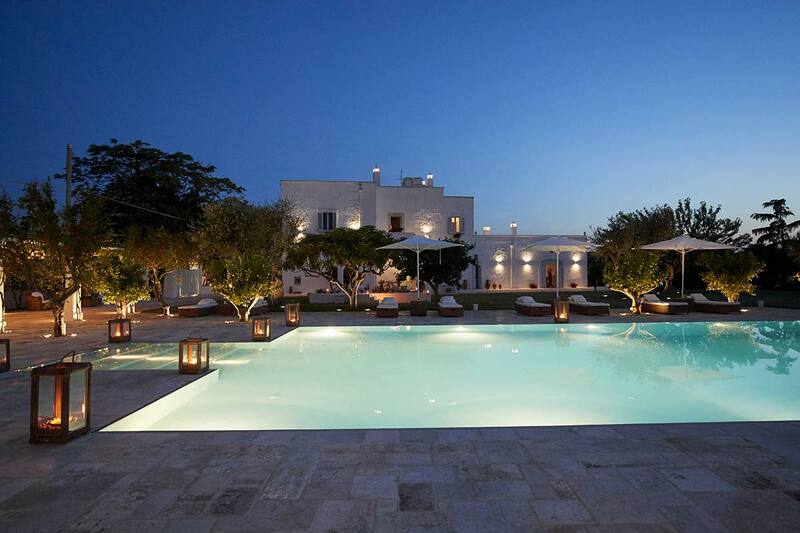 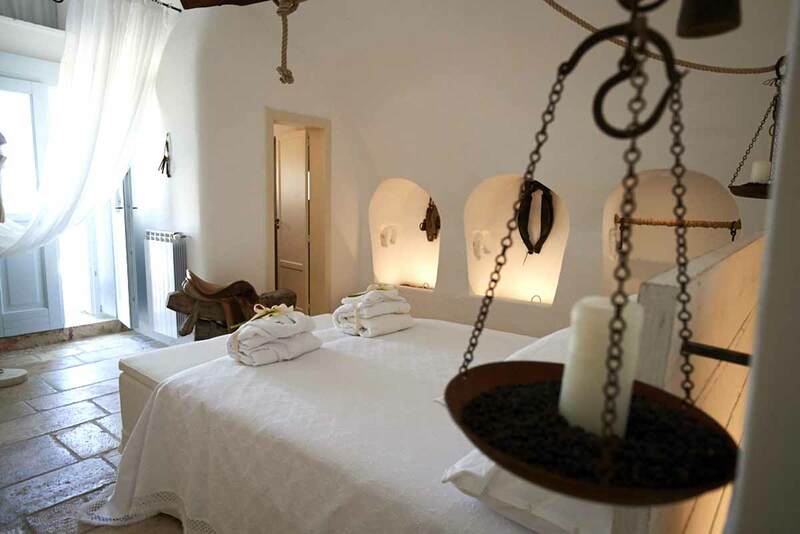 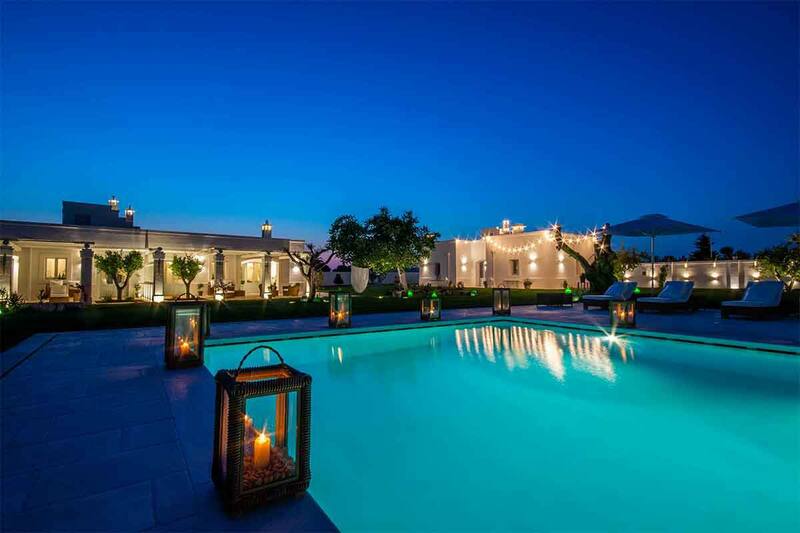 In the mediterranean garden a private swimming pool and a Jacuzzi are located exclusively for the guests of the Masseria.